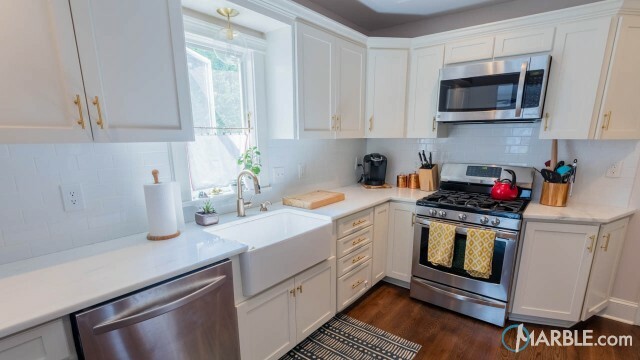 New Colonial Gold has plenty of character. 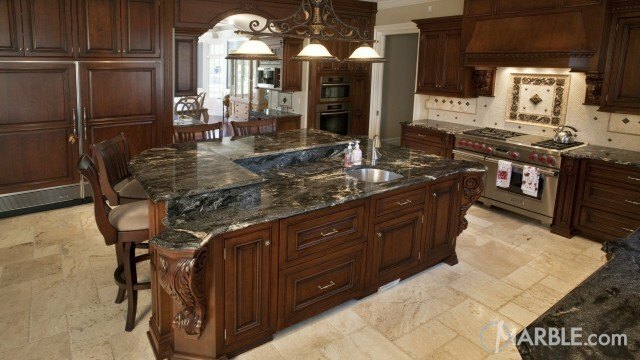 Swirls and speckles of browns. 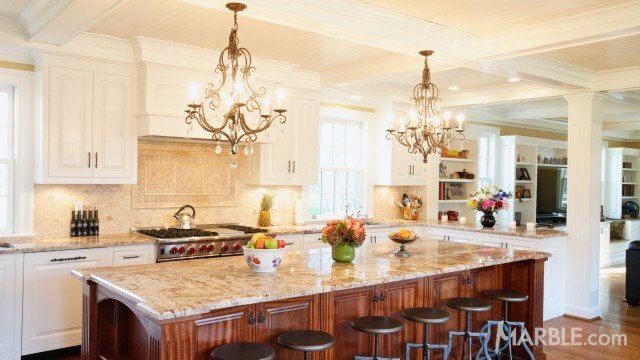 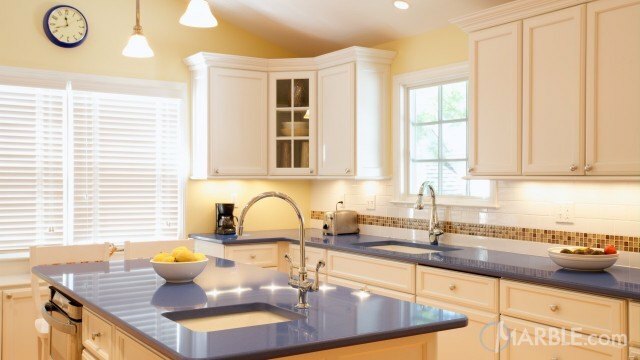 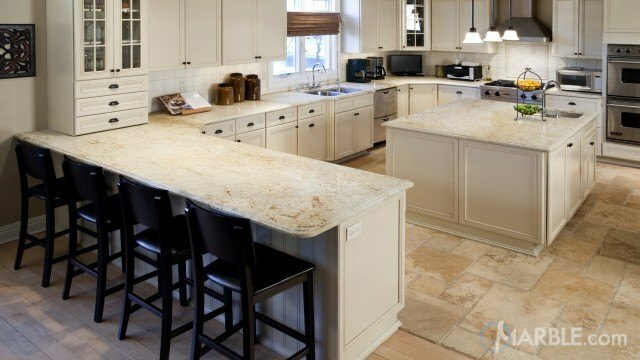 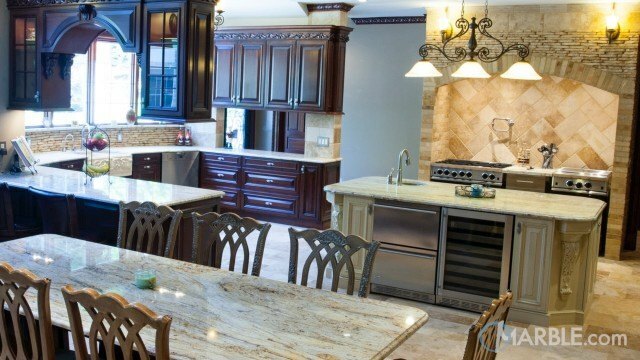 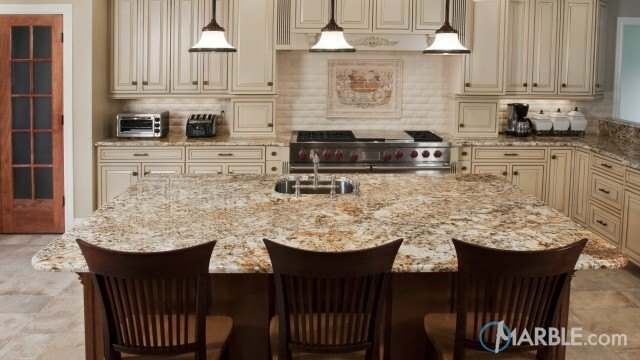 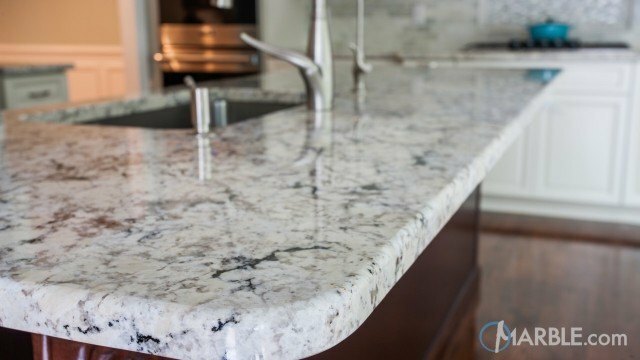 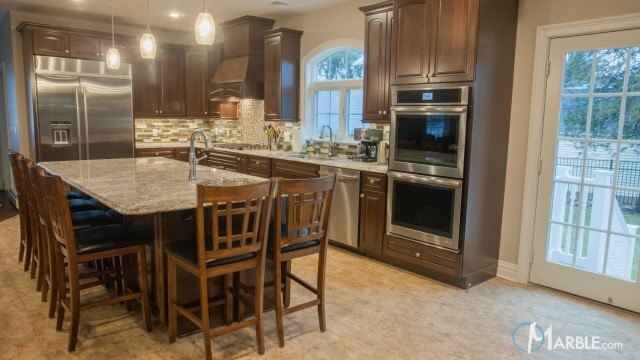 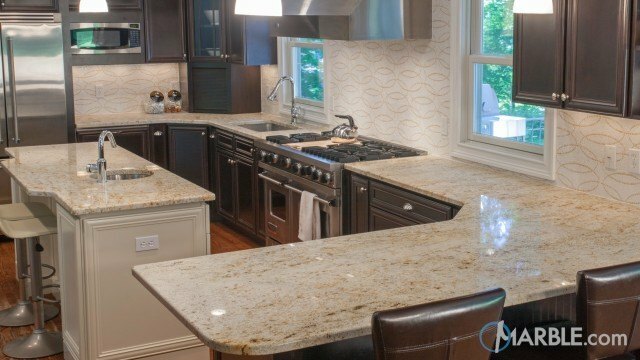 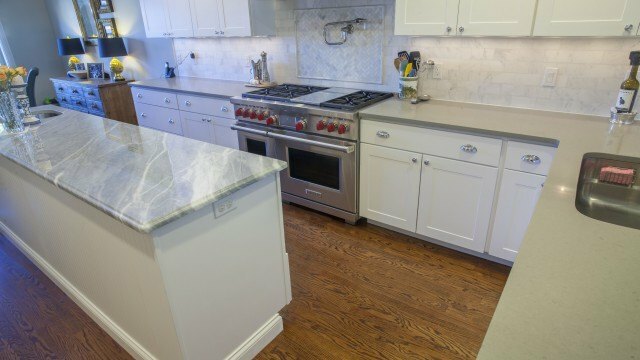 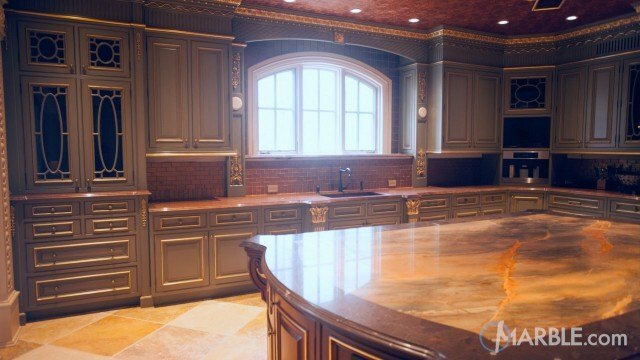 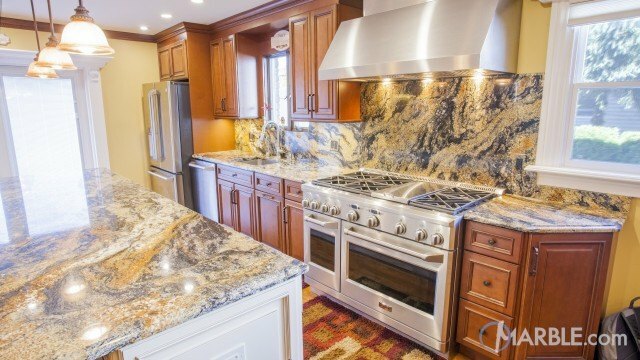 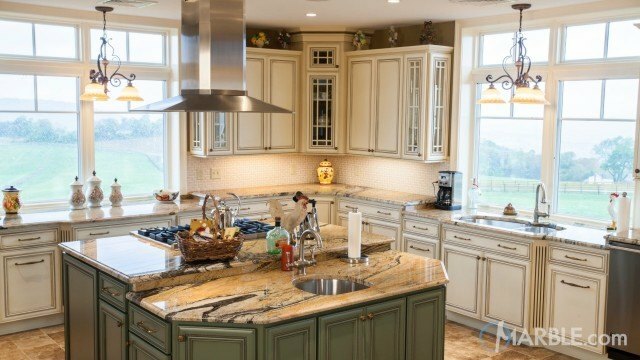 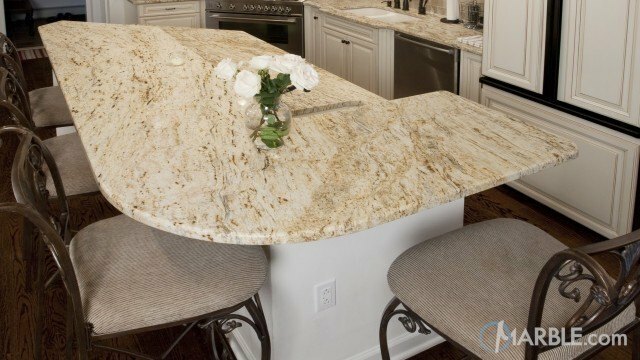 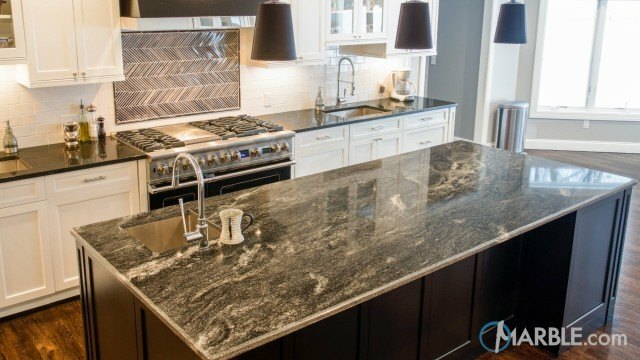 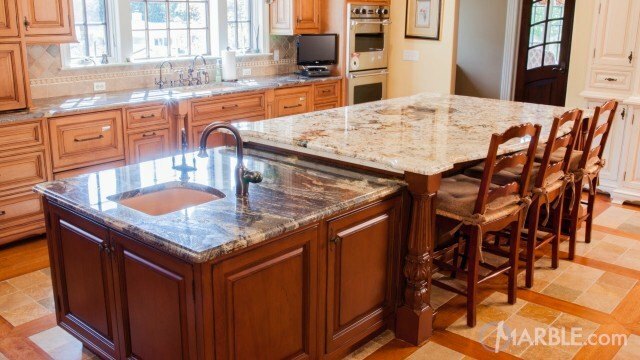 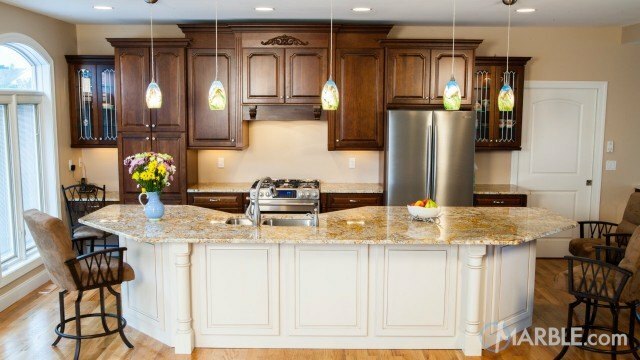 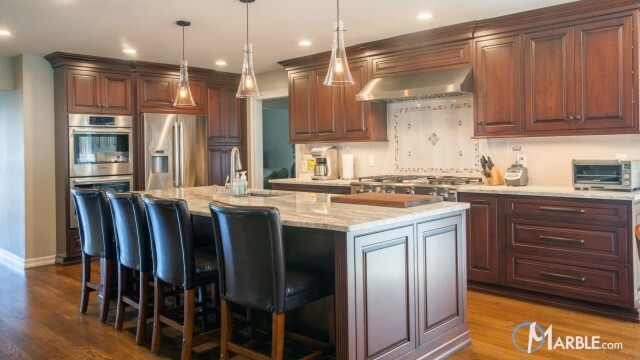 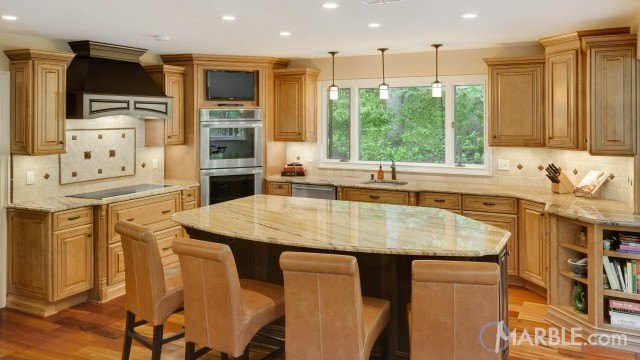 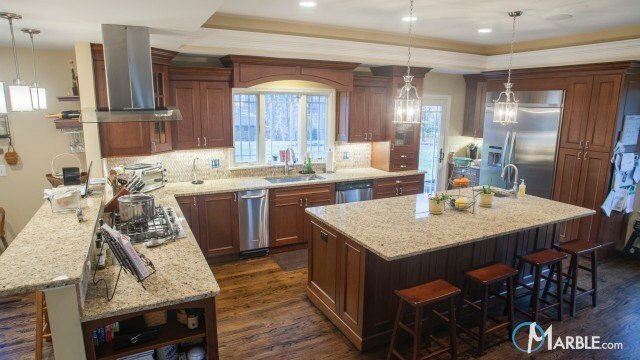 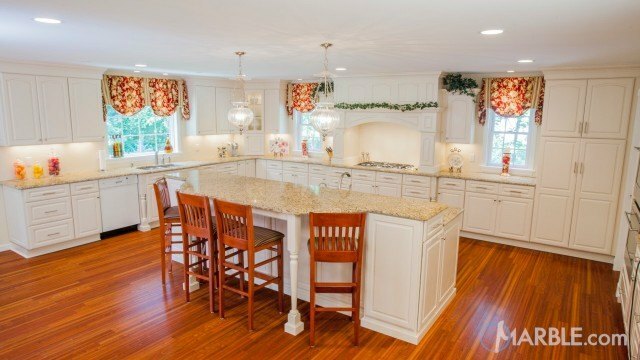 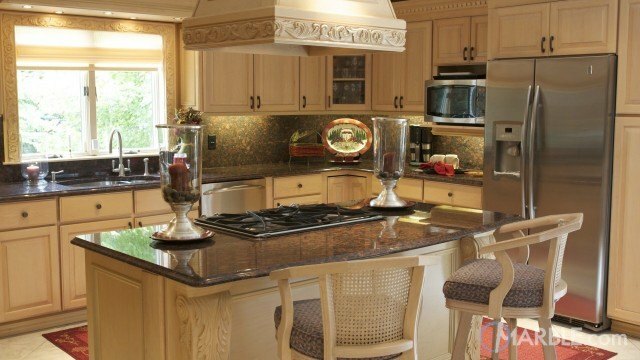 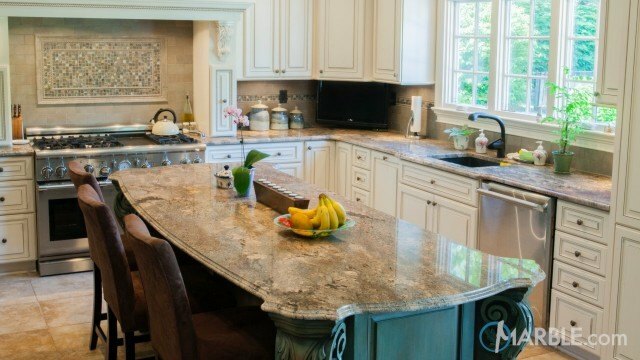 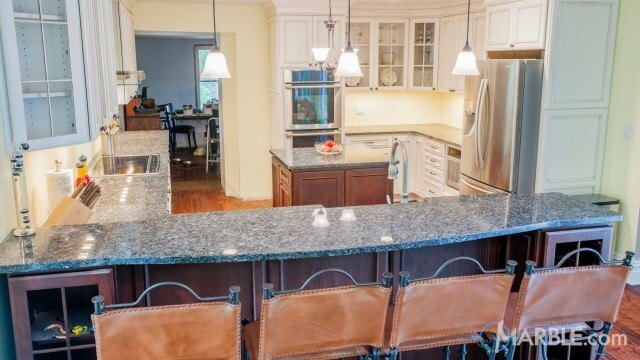 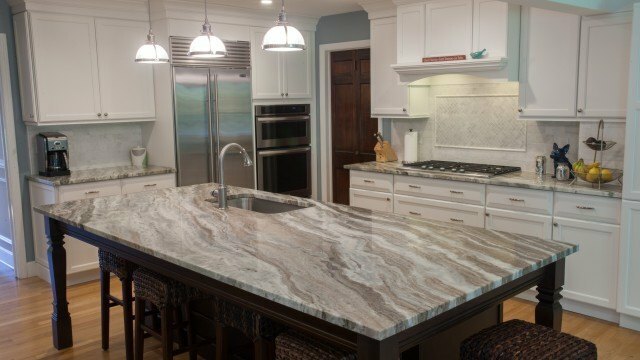 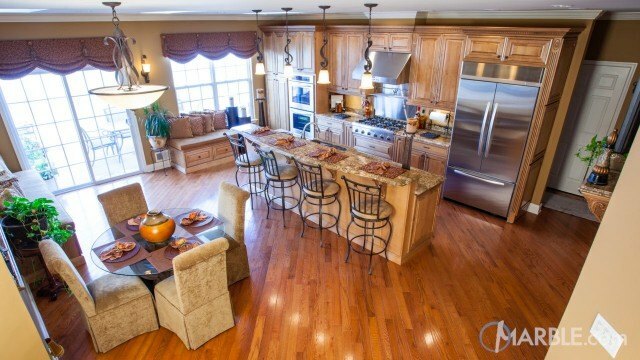 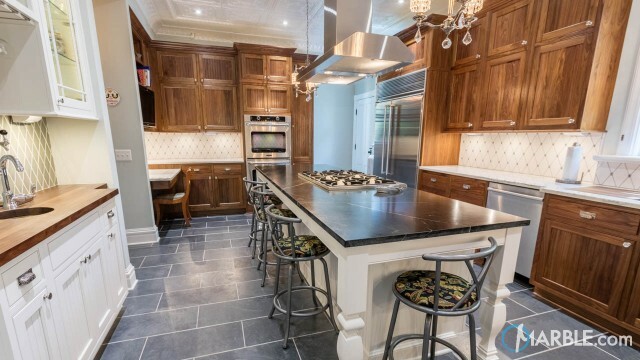 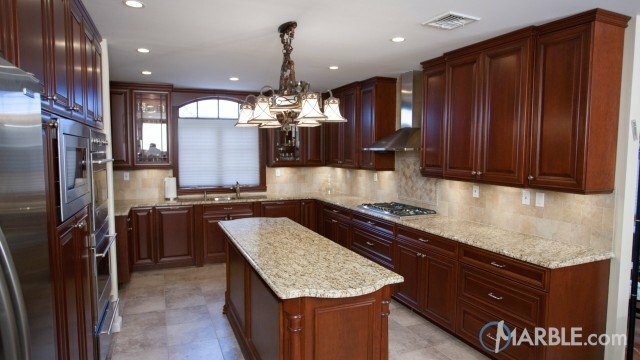 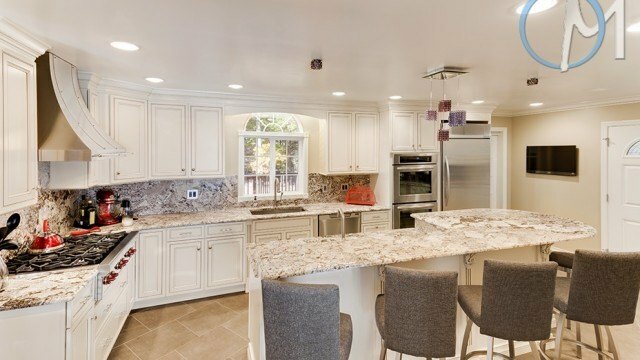 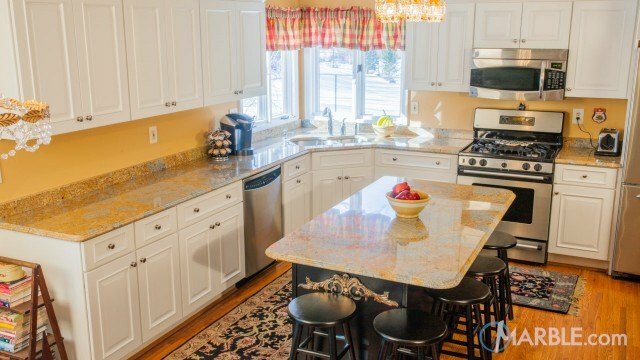 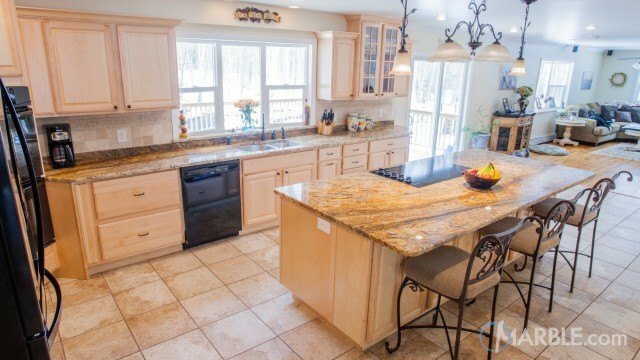 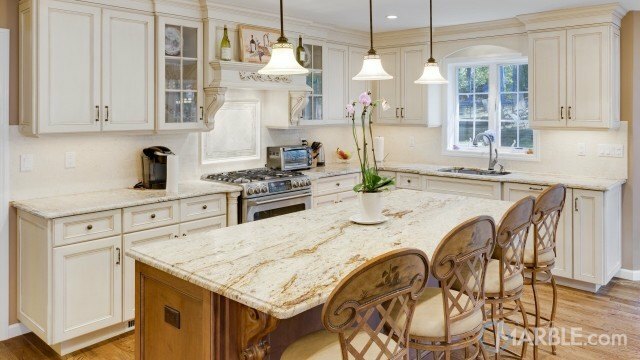 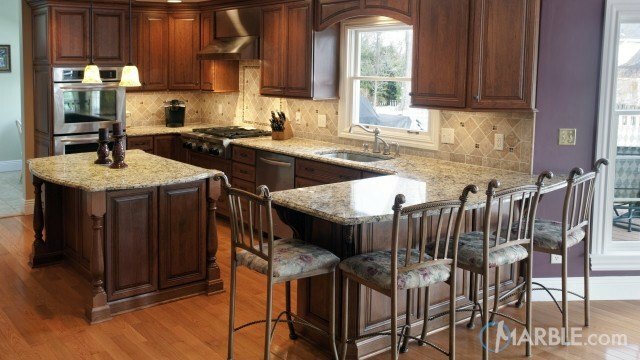 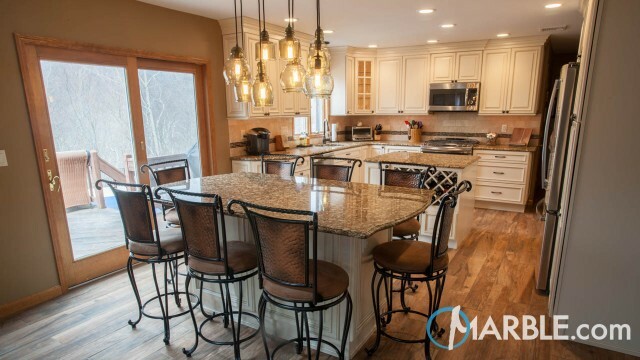 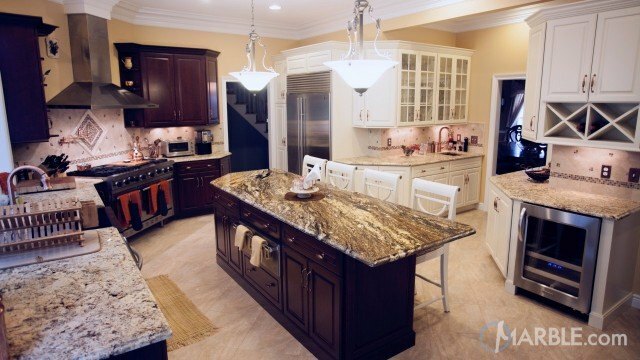 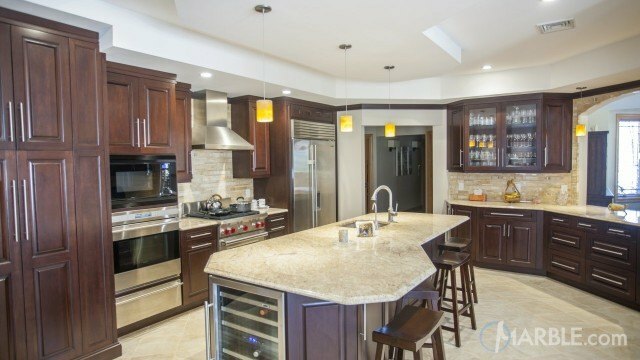 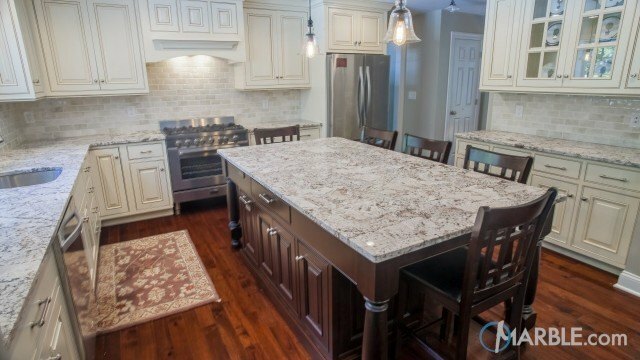 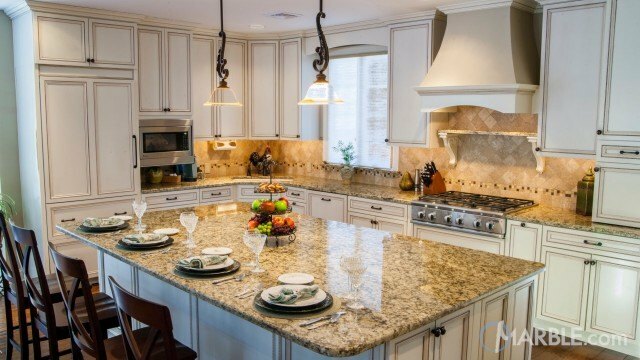 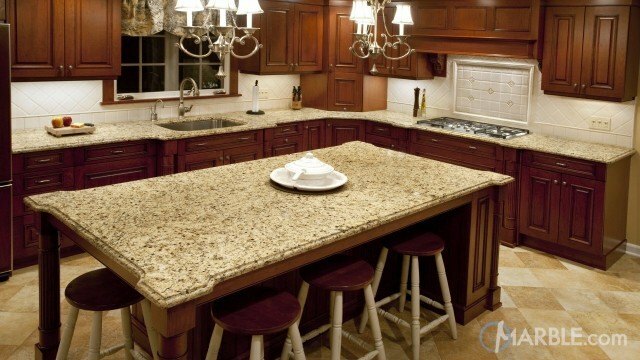 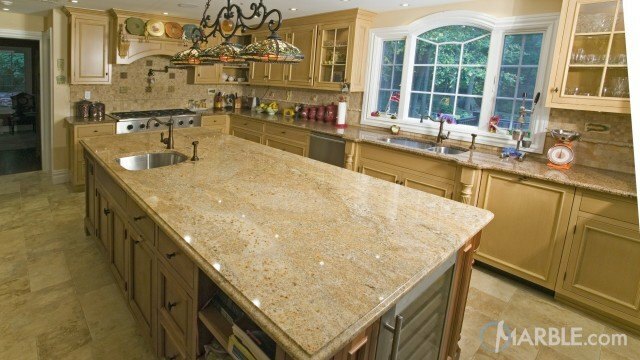 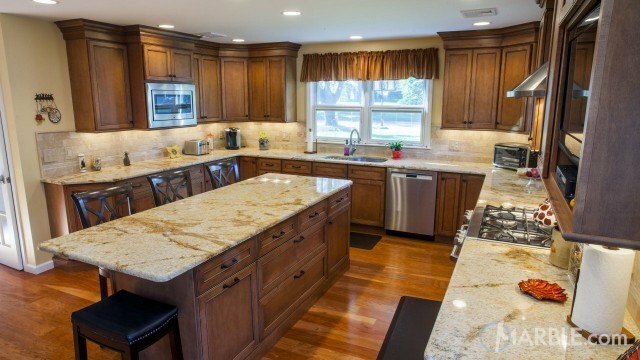 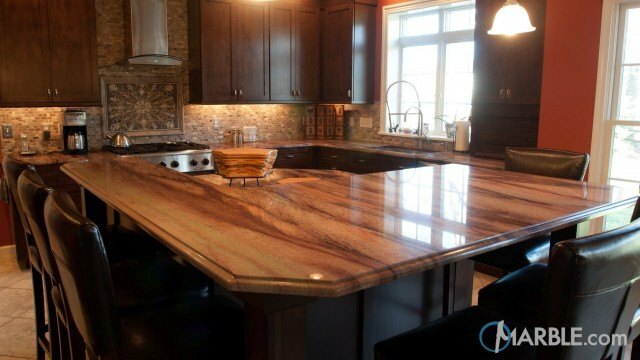 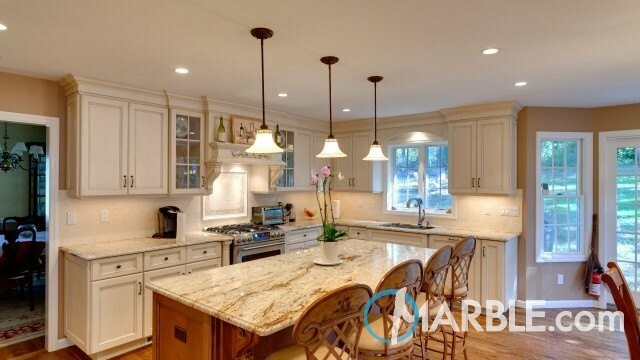 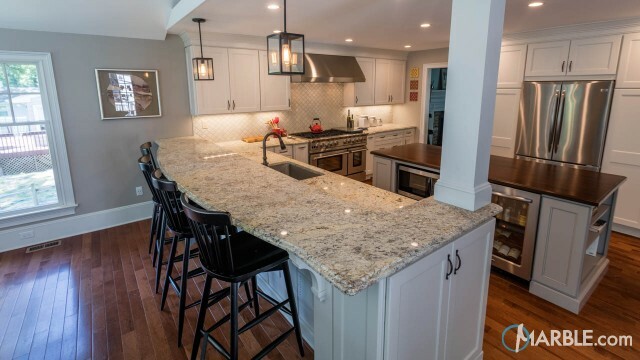 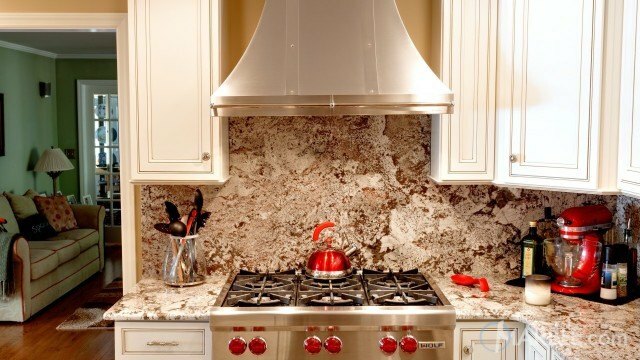 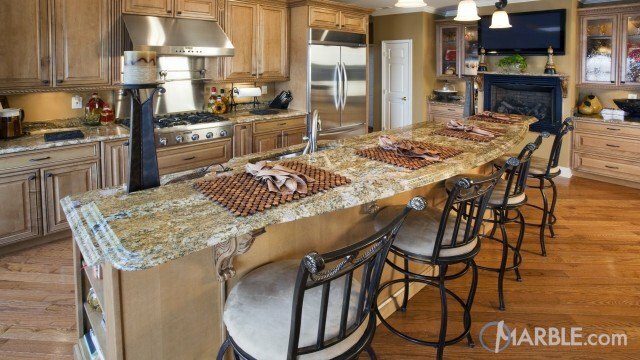 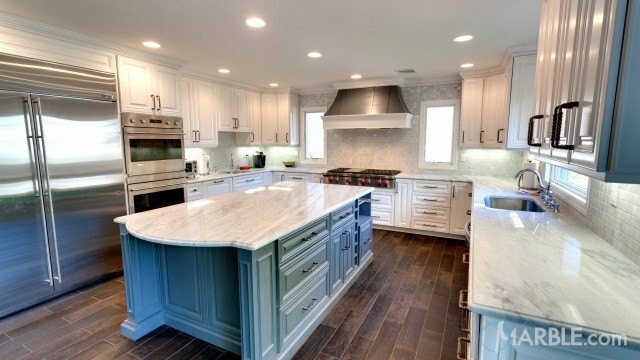 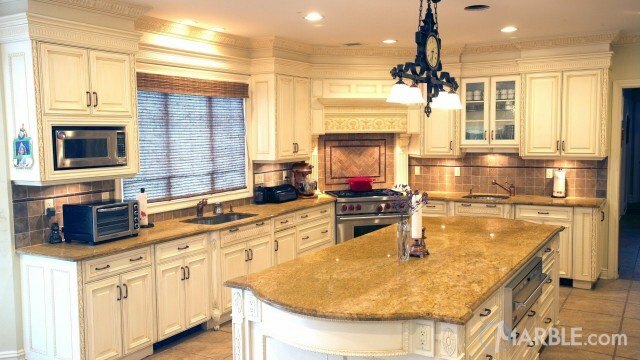 golds and creams collide together to create a beautiful kitchen counter top that works well with white cabinets and hardwood floors. 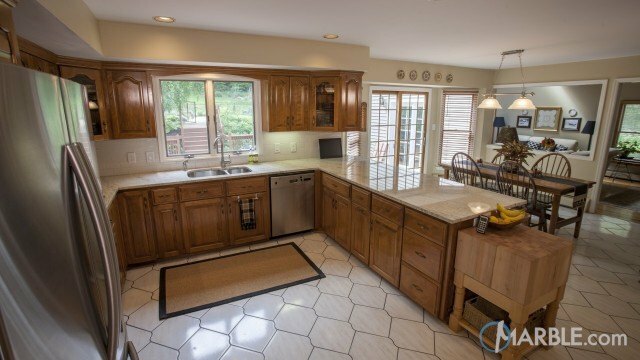 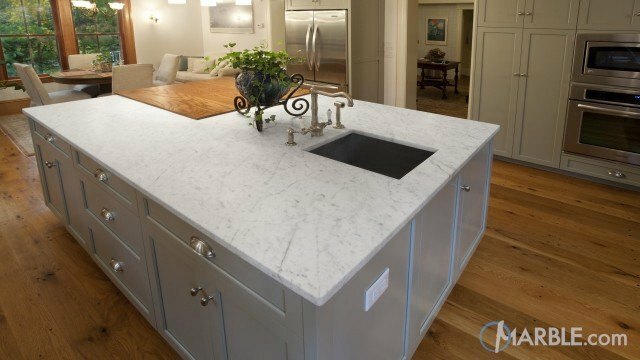 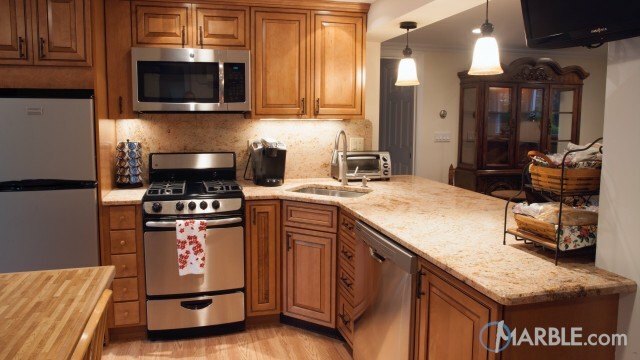 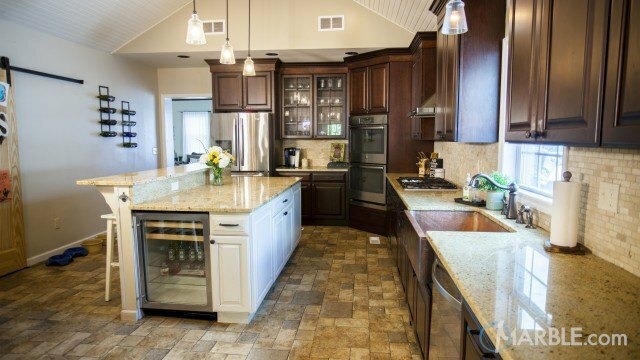 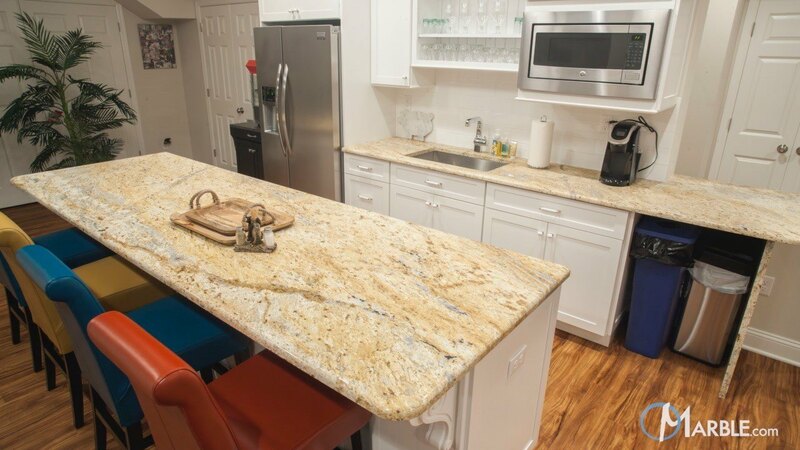 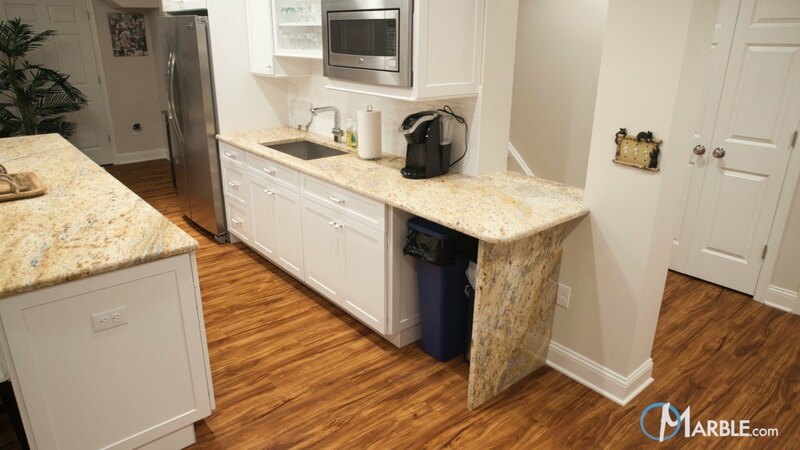 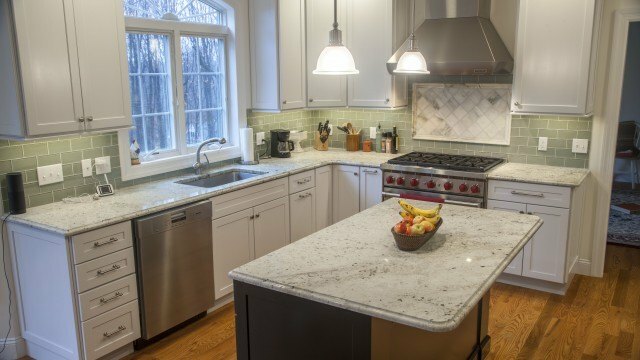 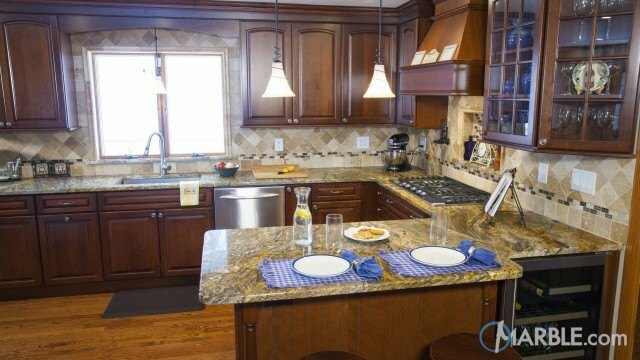 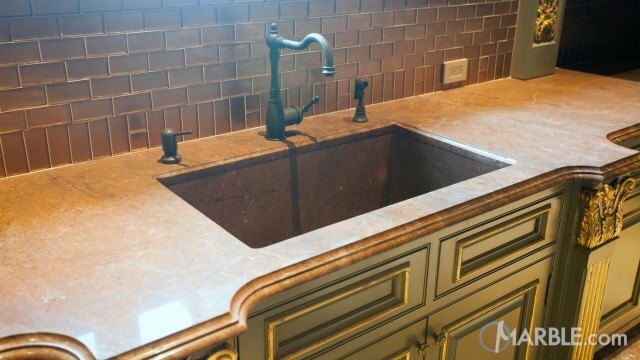 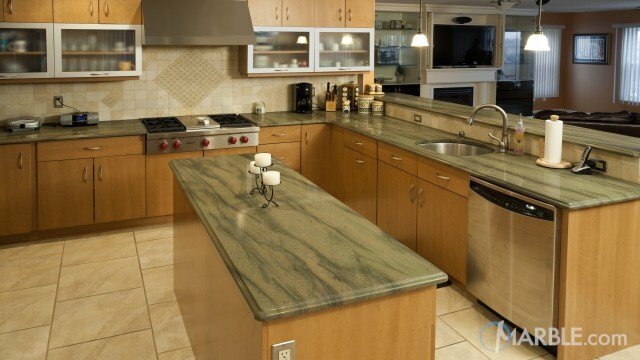 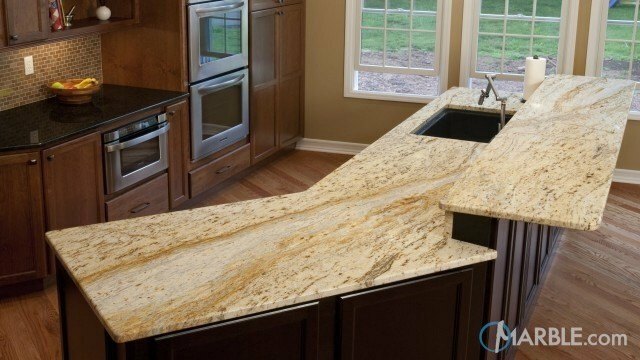 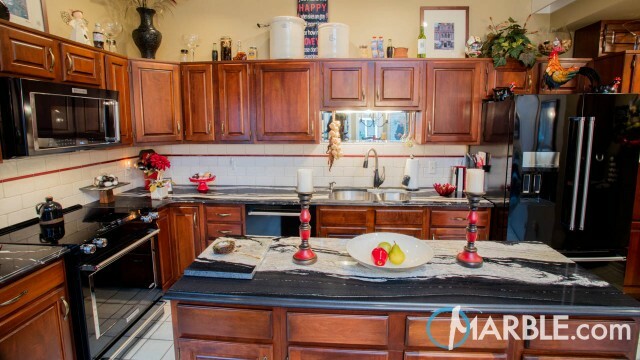 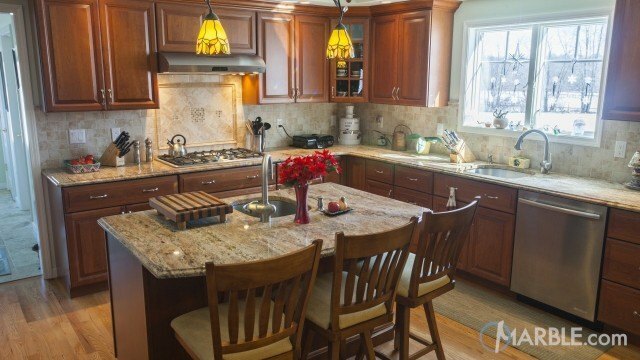 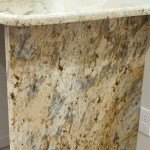 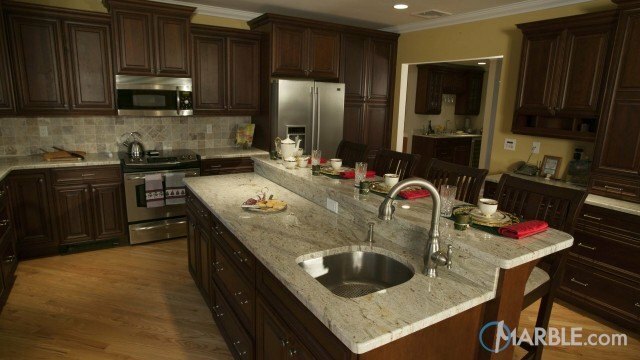 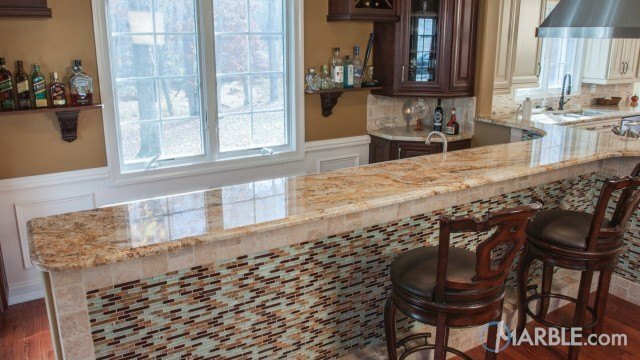 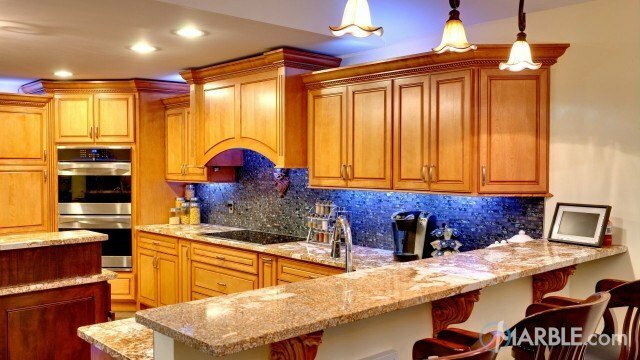 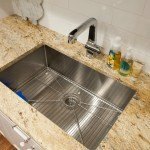 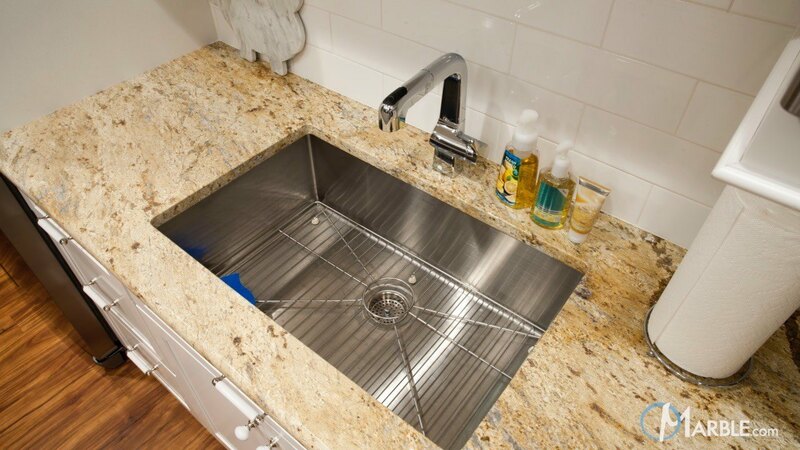 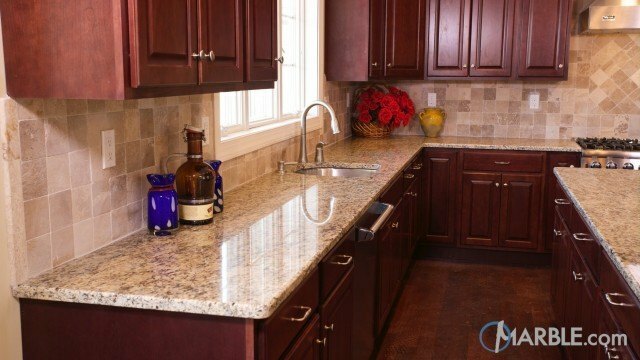 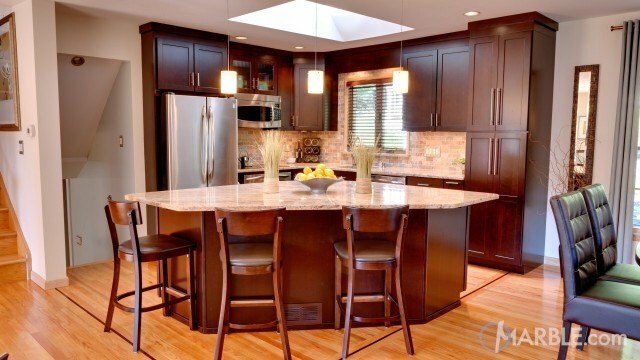 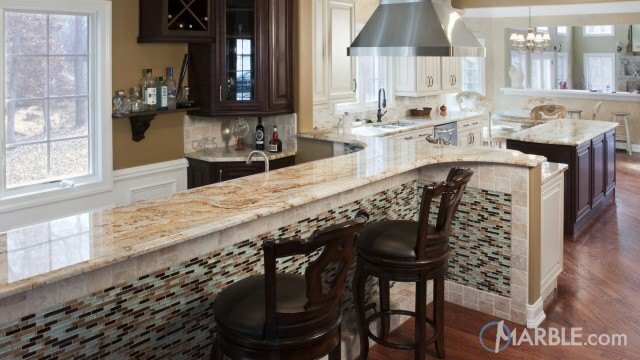 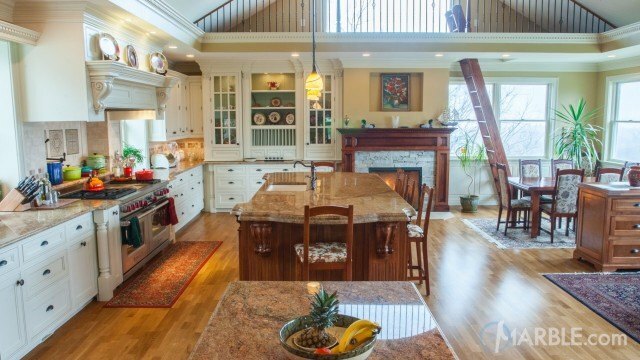 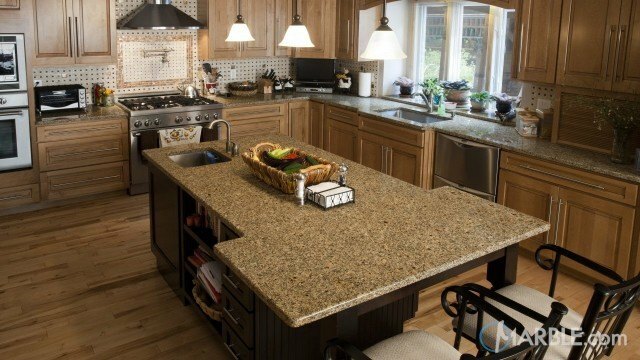 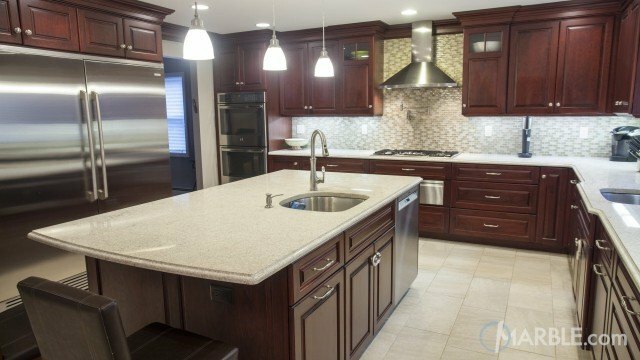 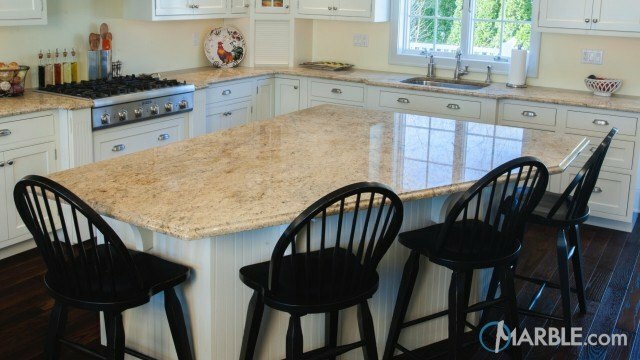 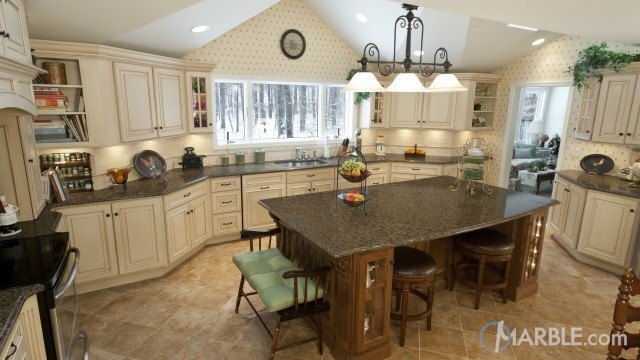 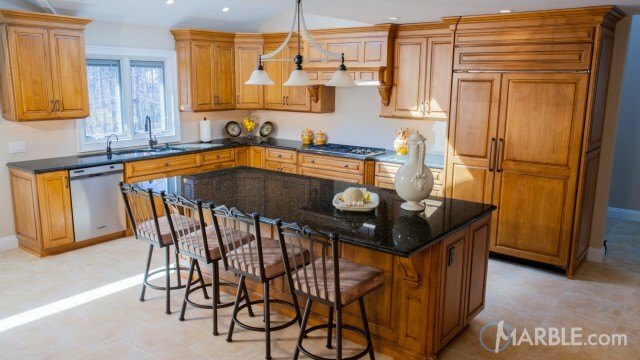 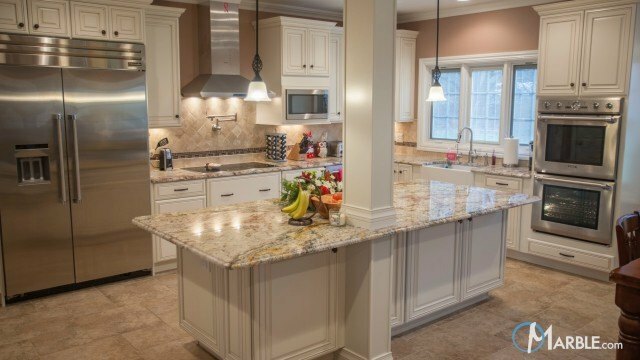 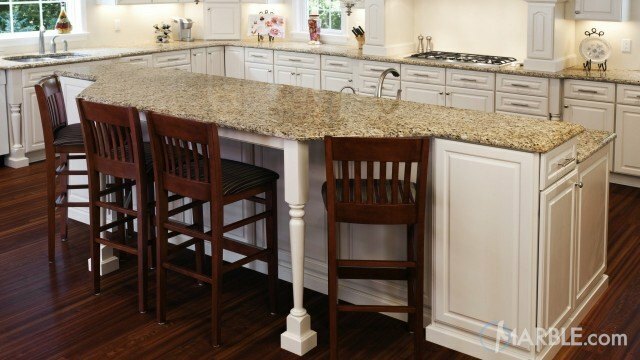 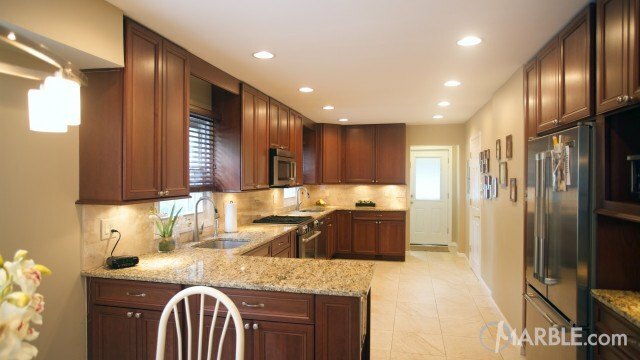 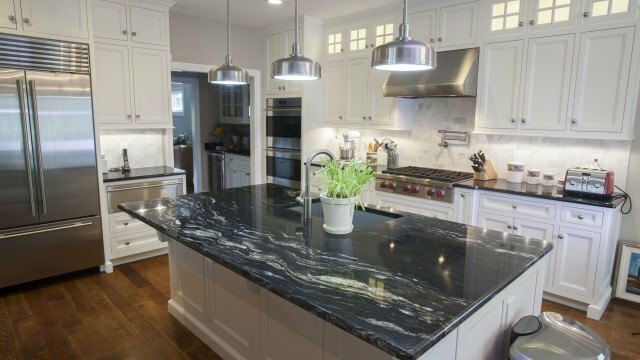 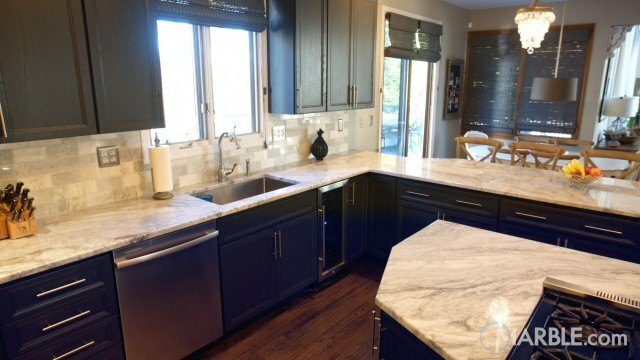 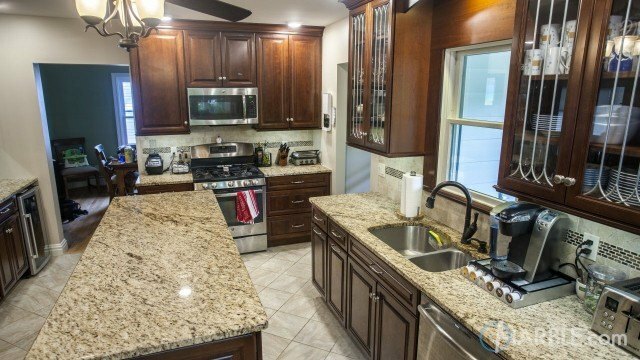 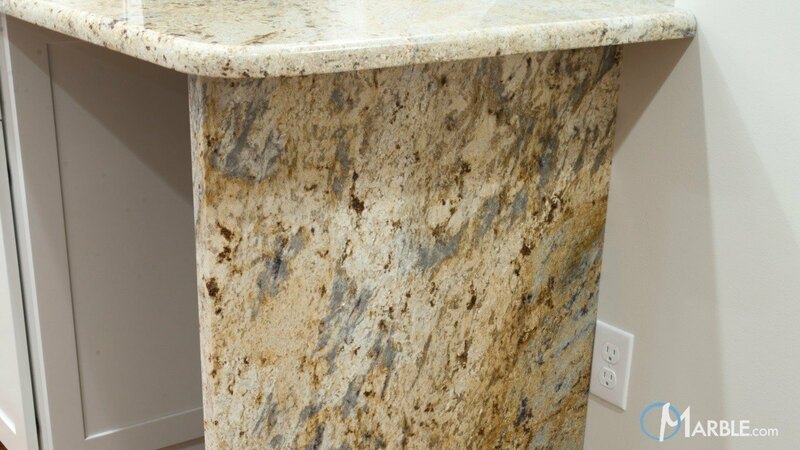 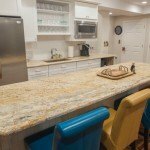 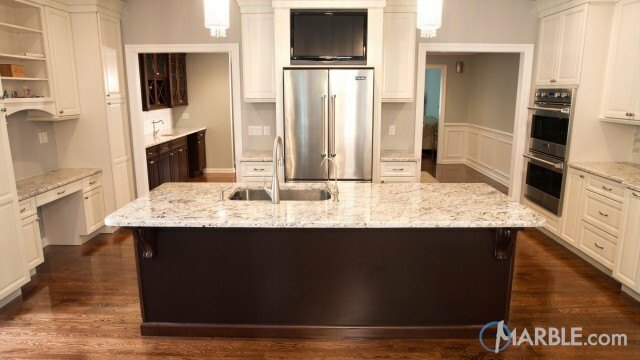 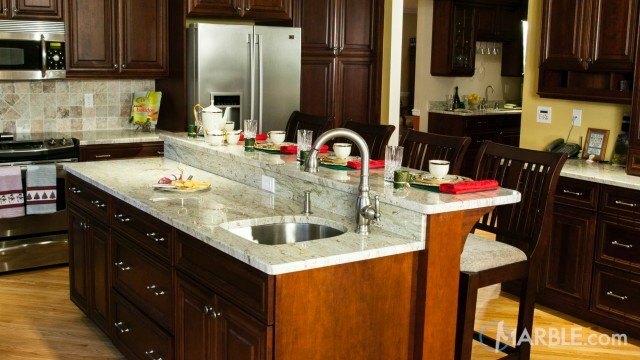 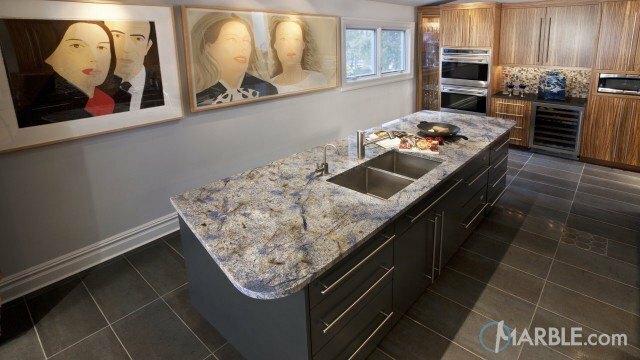 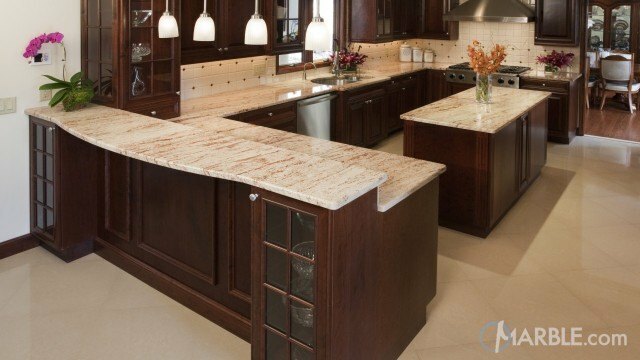 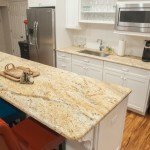 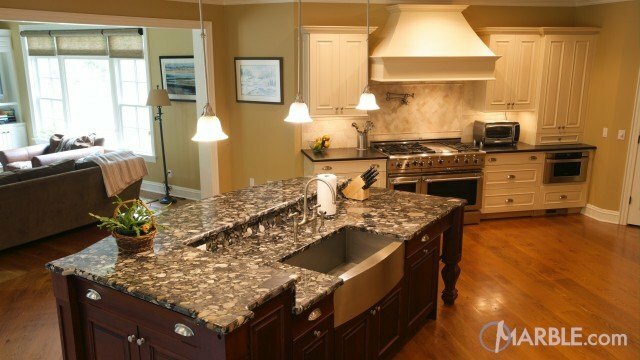 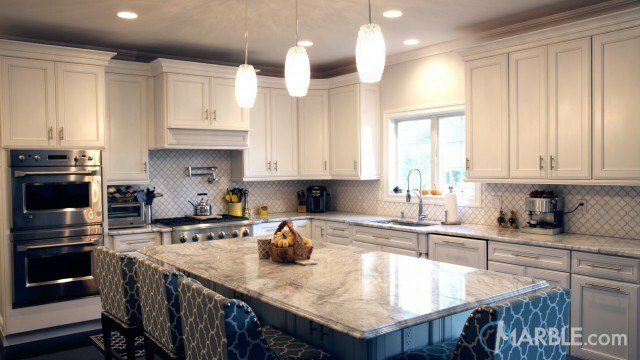 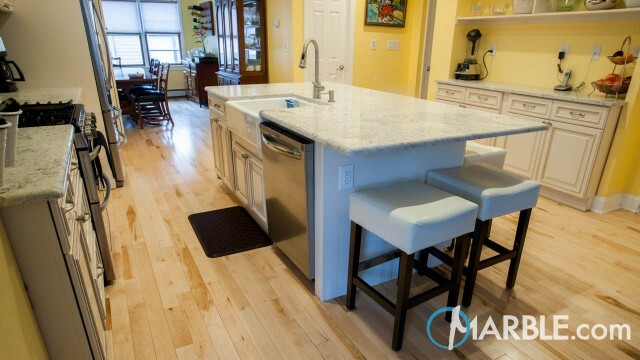 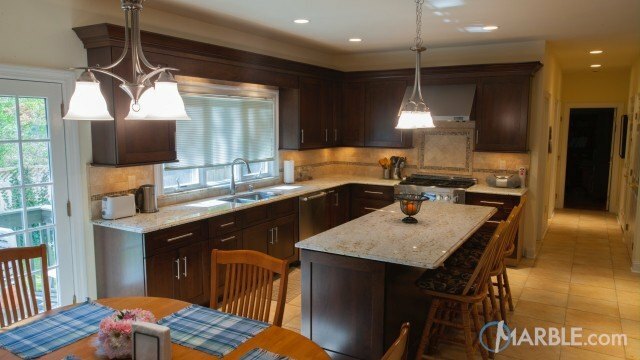 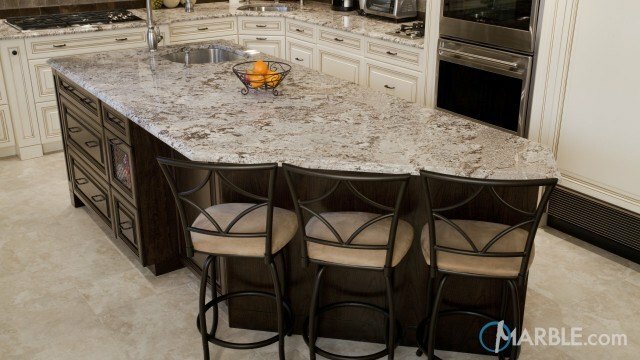 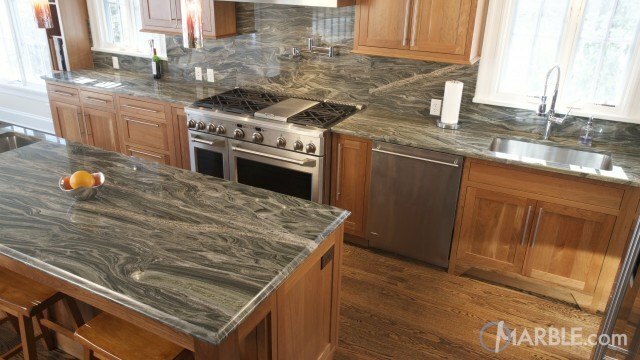 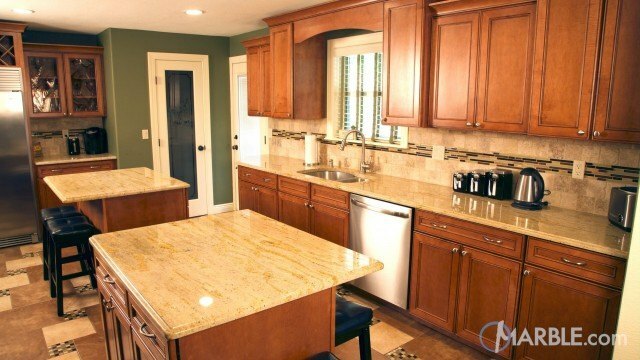 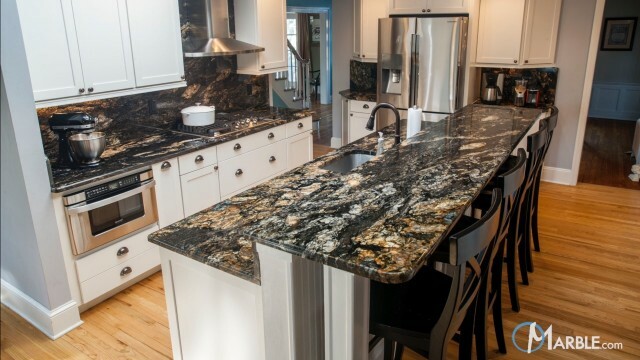 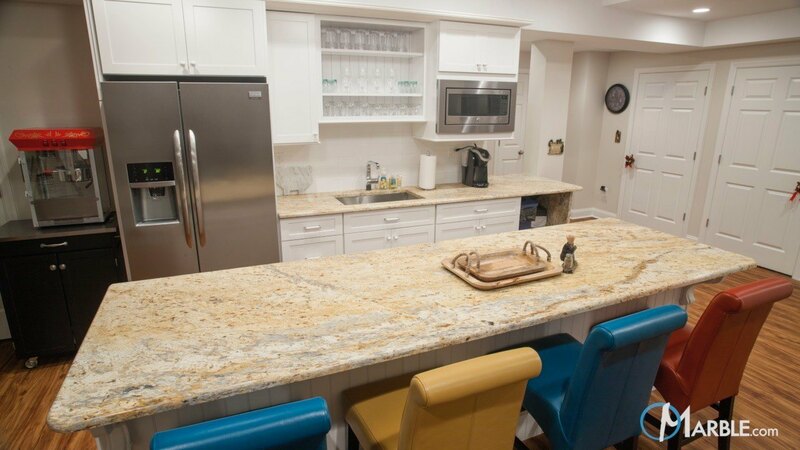 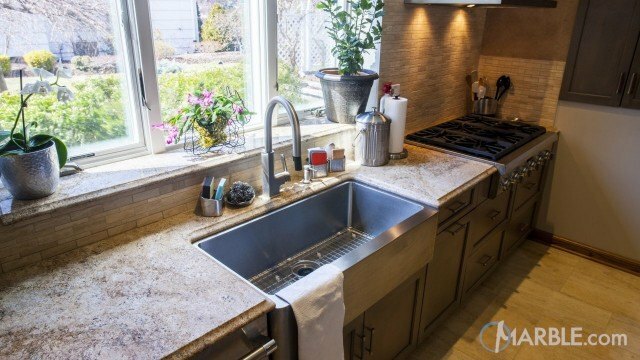 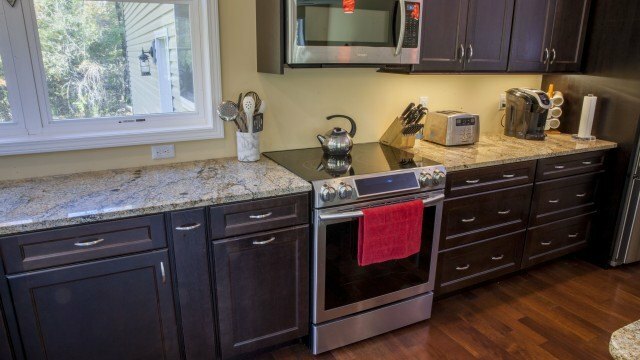 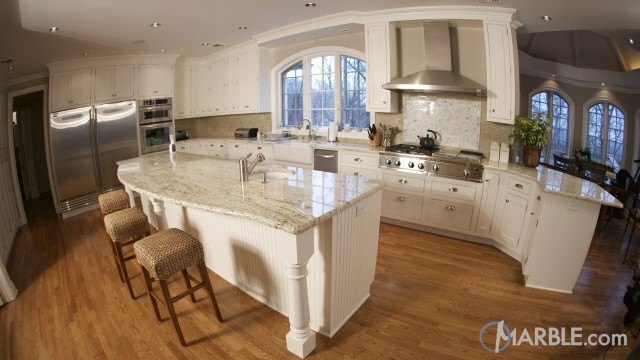 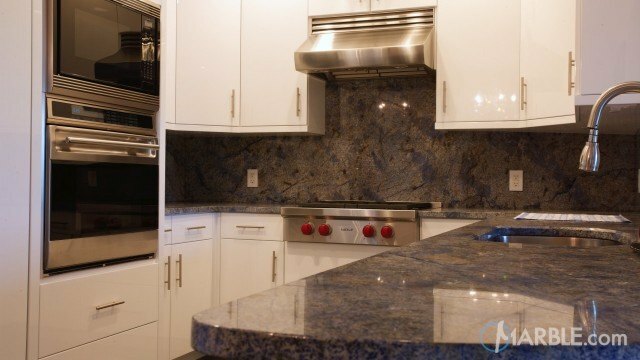 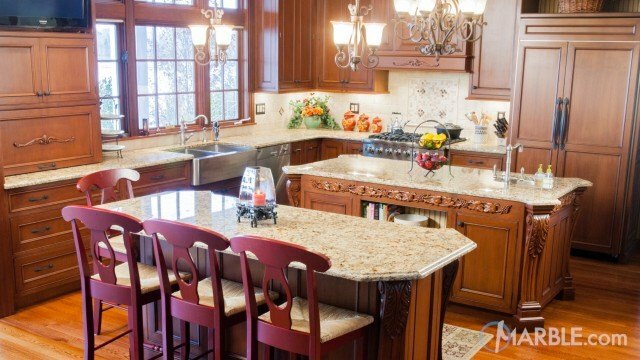 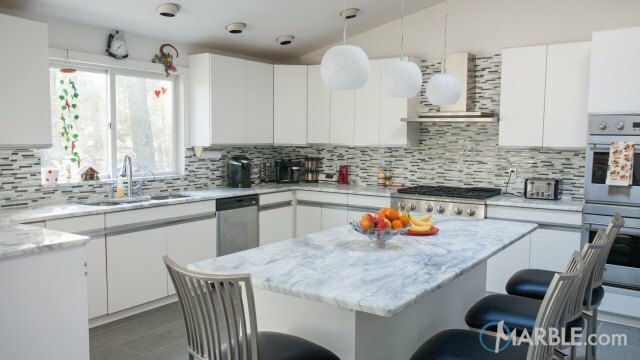 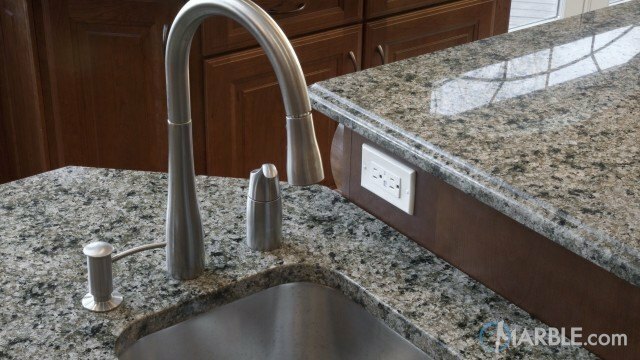 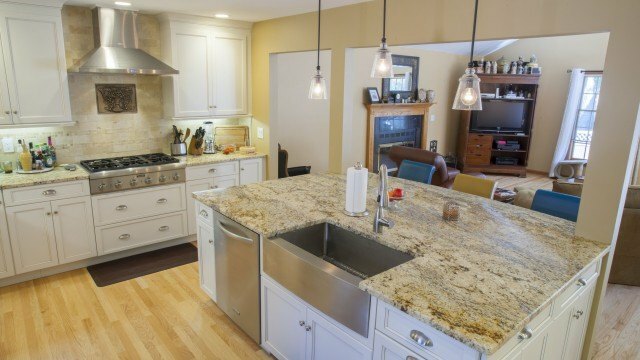 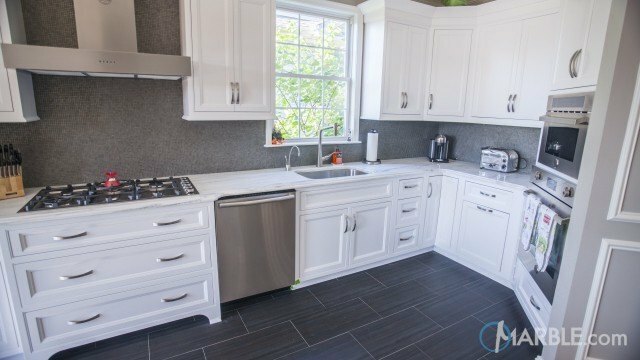 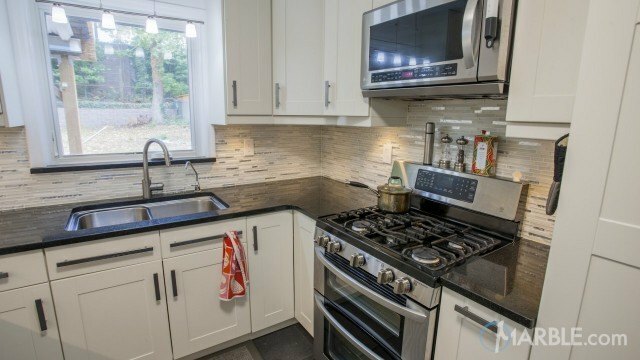 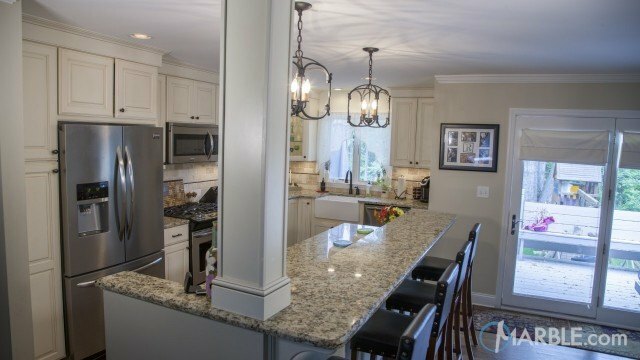 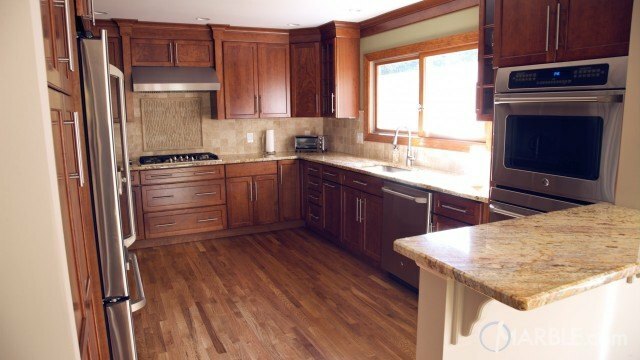 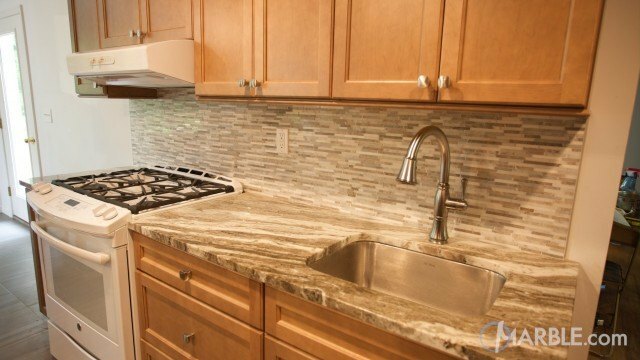 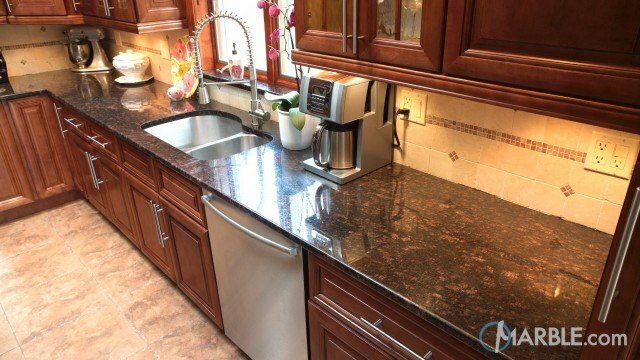 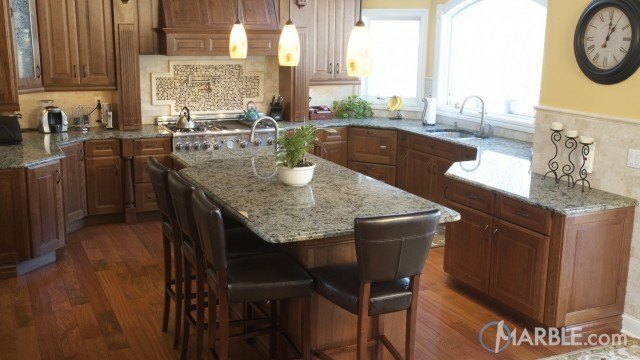 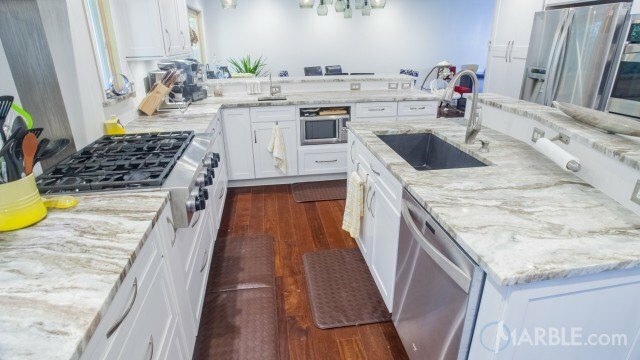 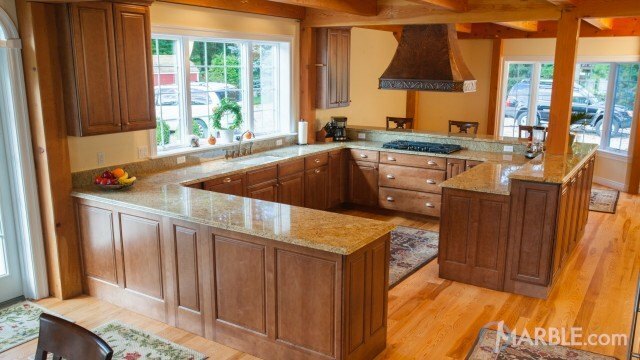 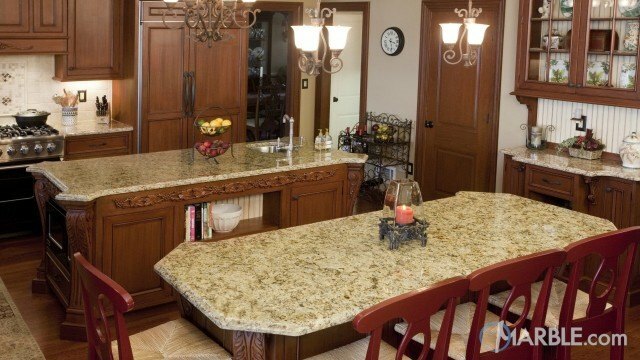 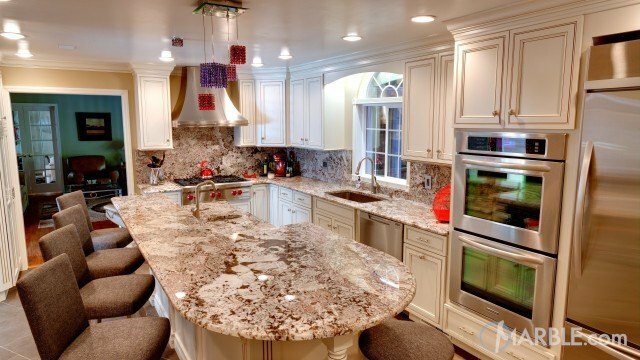 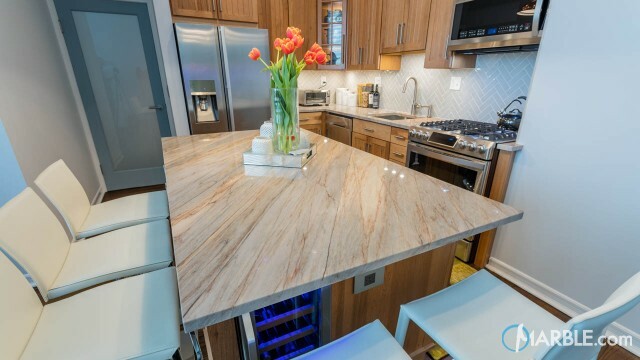 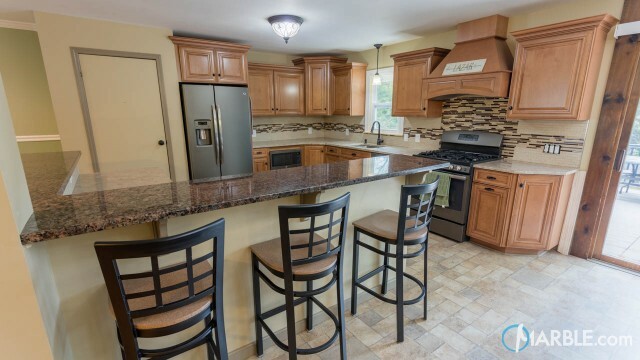 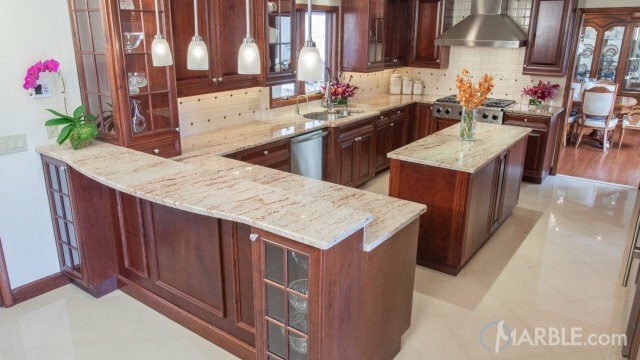 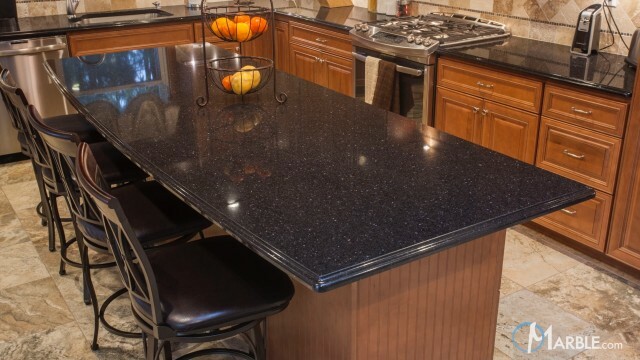 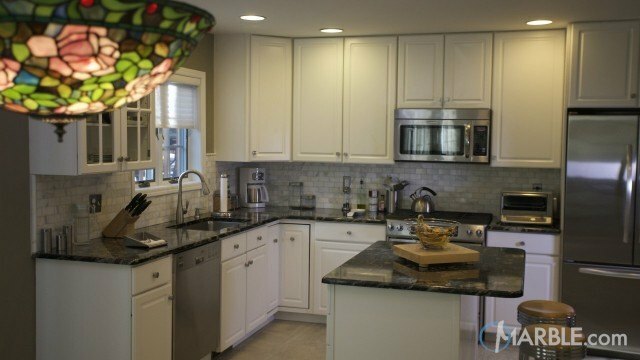 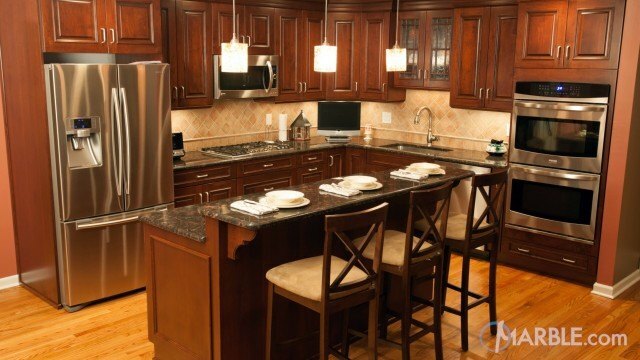 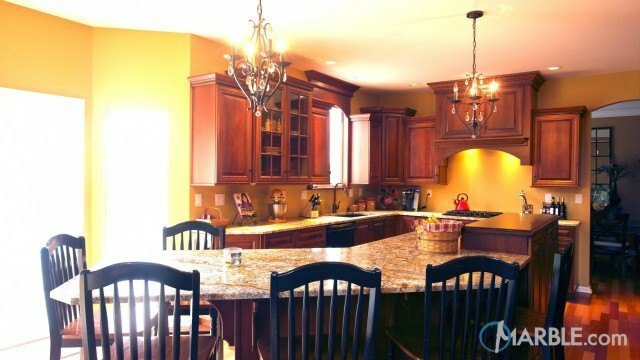 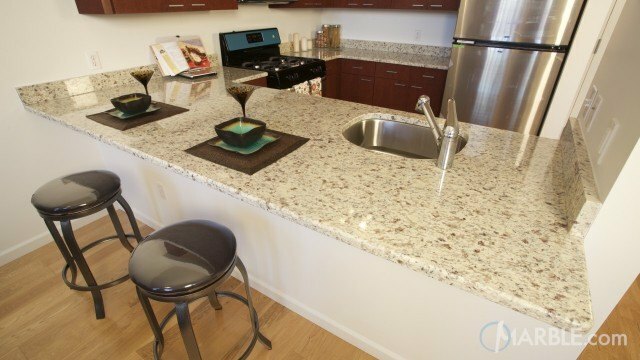 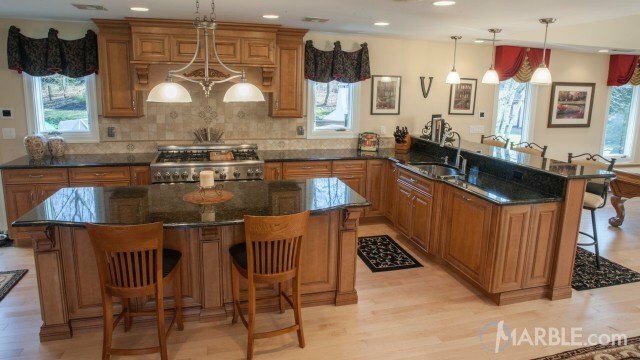 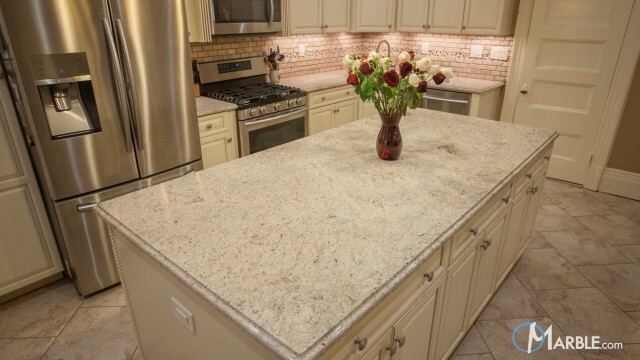 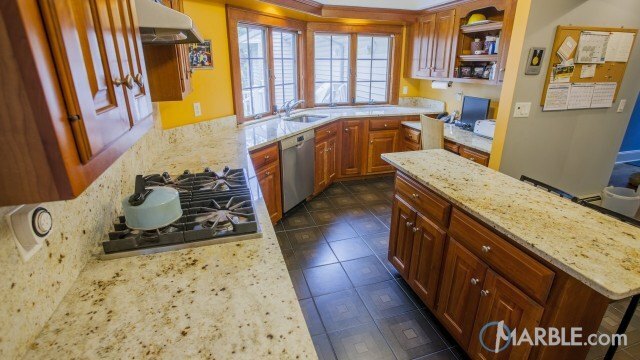 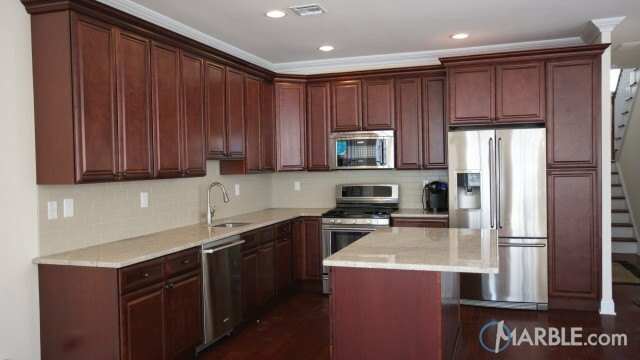 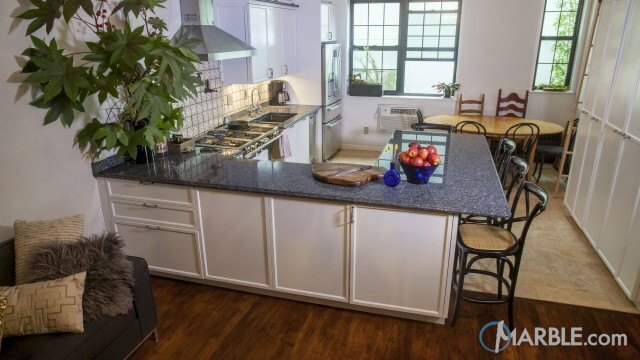 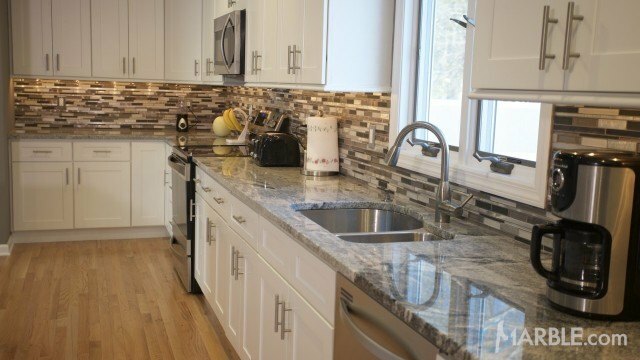 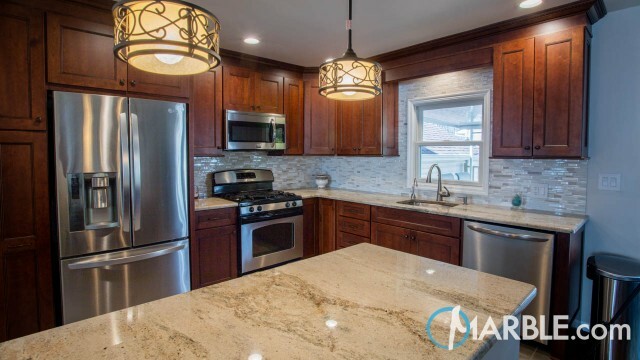 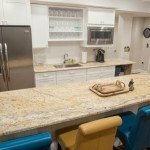 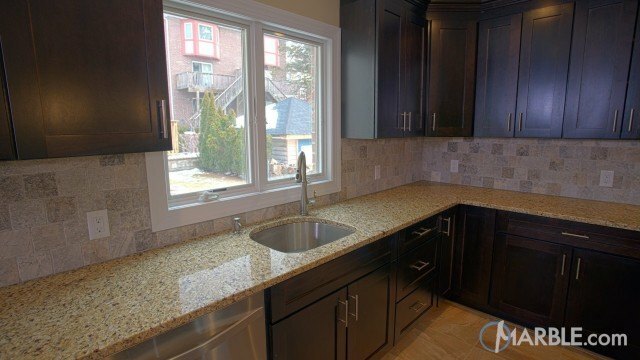 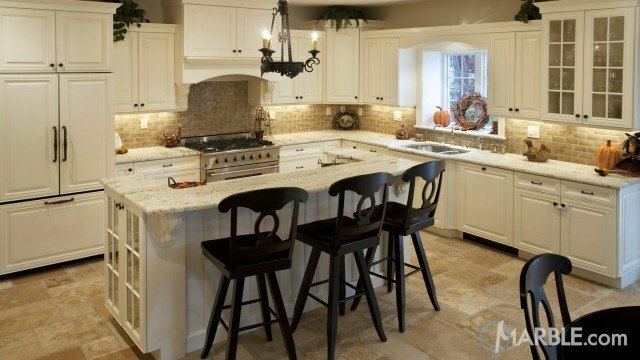 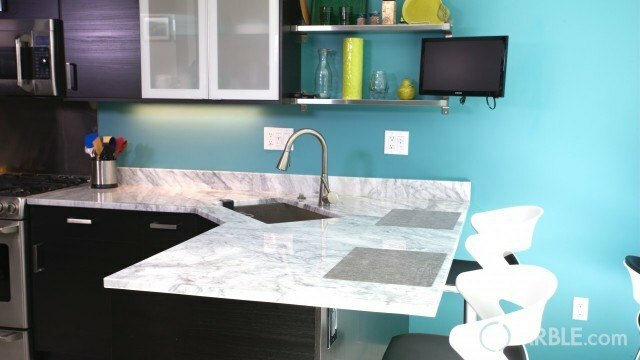 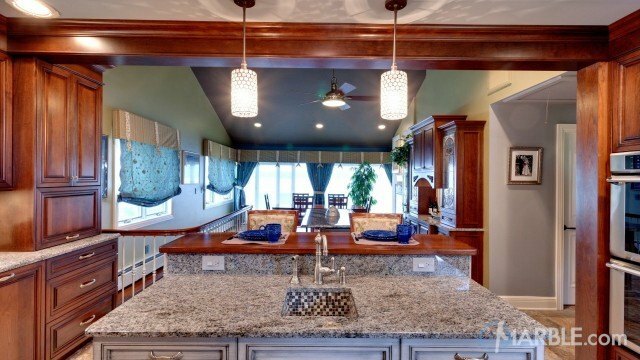 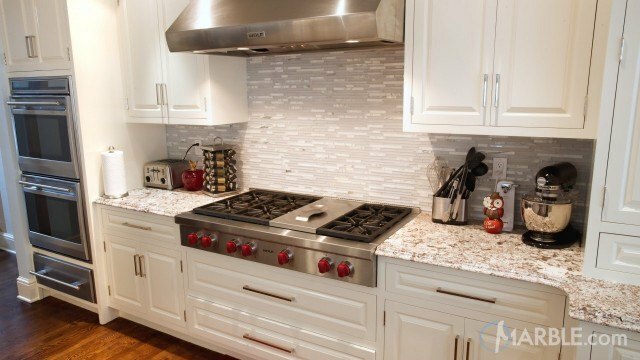 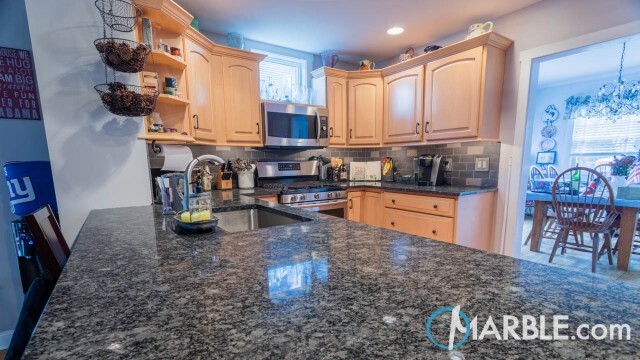 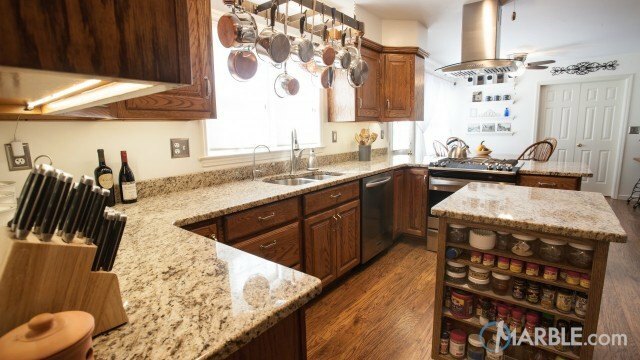 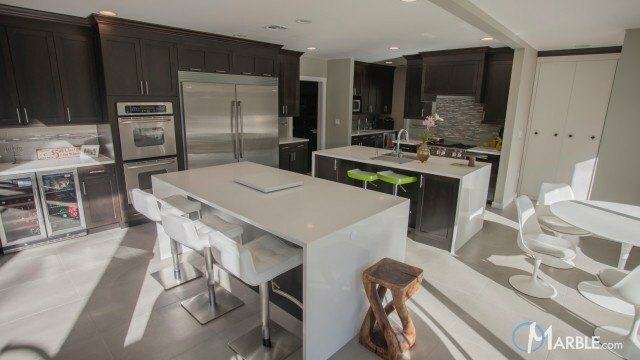 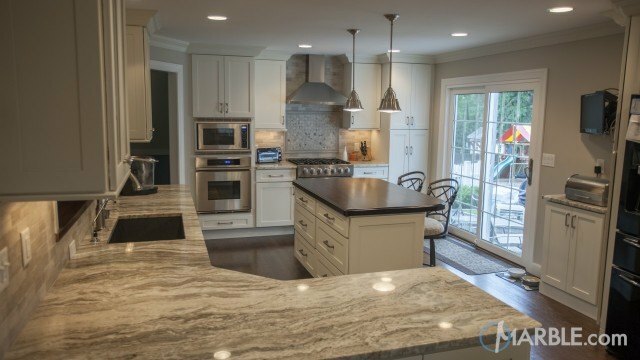 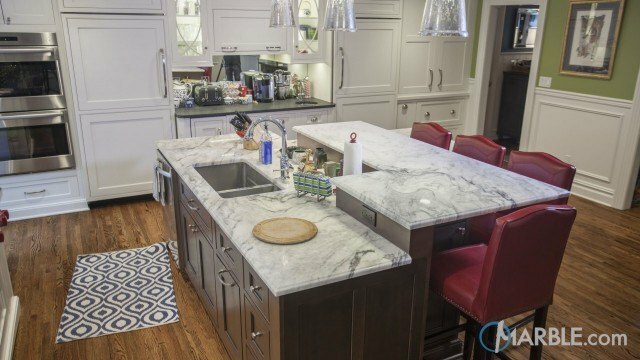 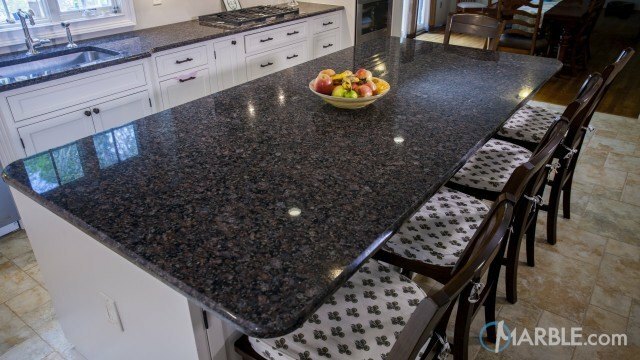 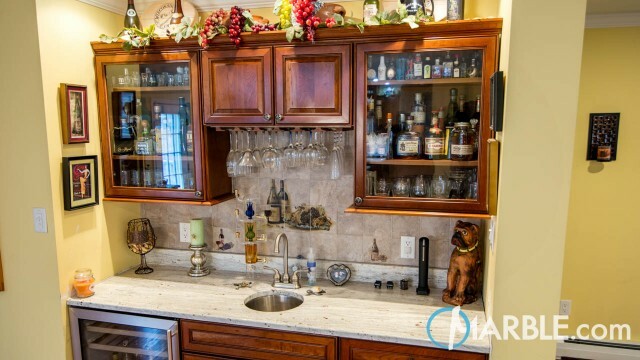 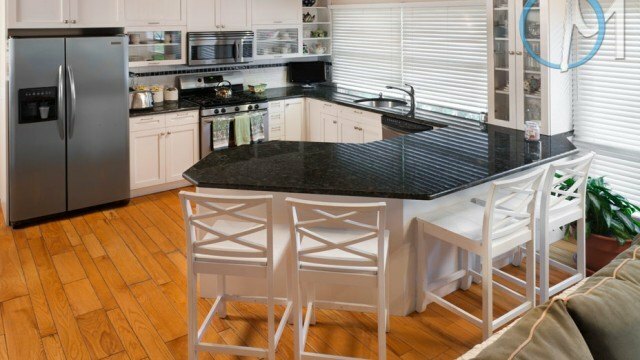 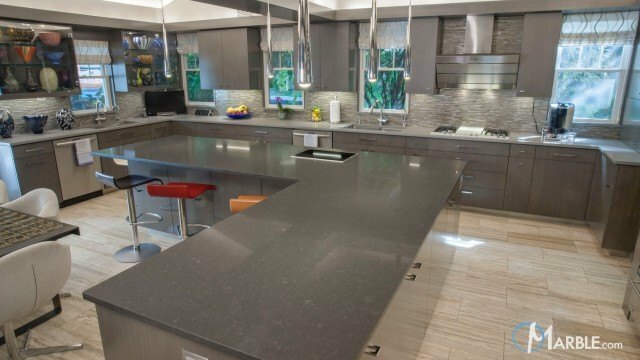 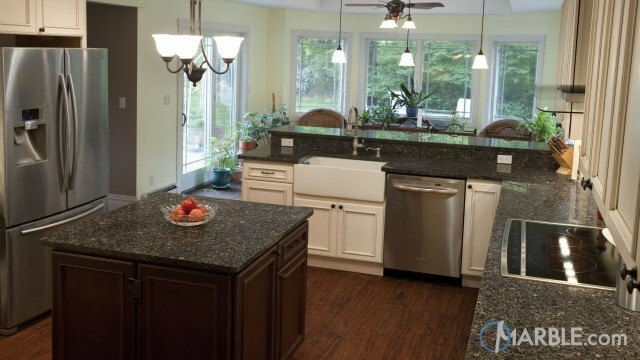 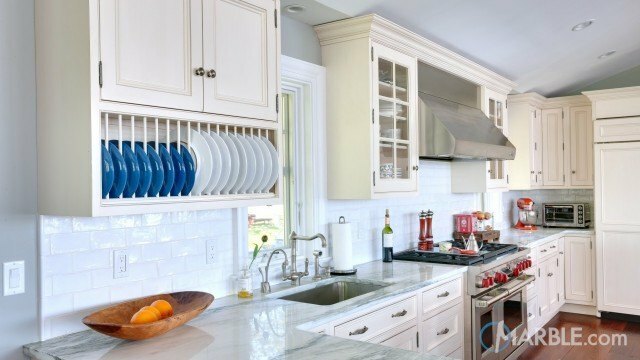 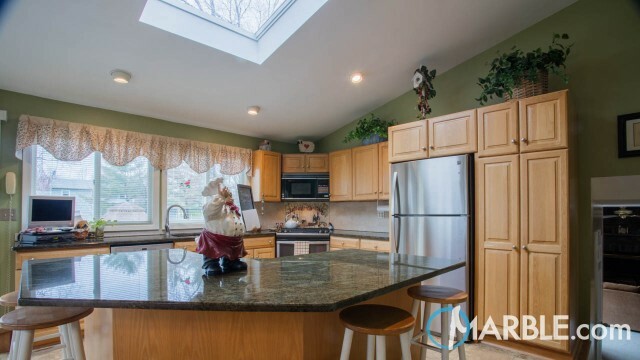 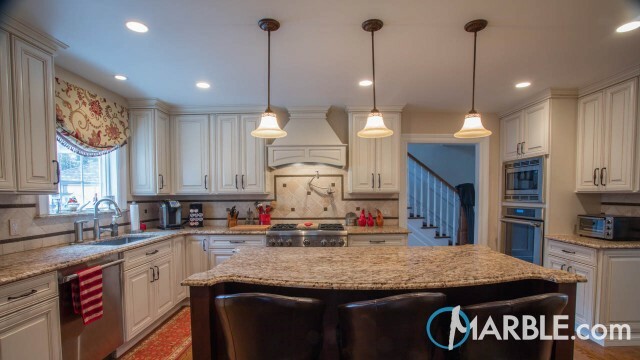 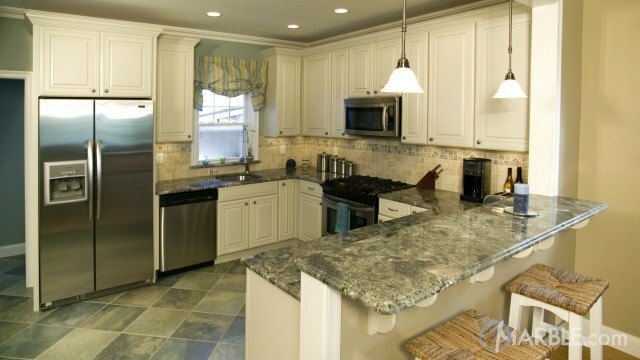 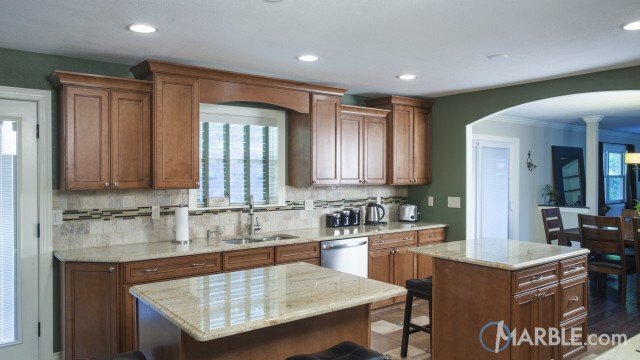 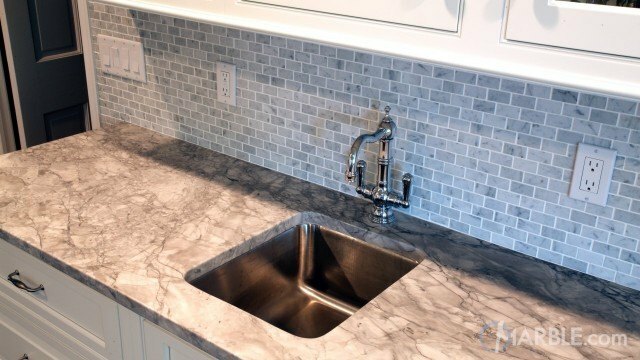 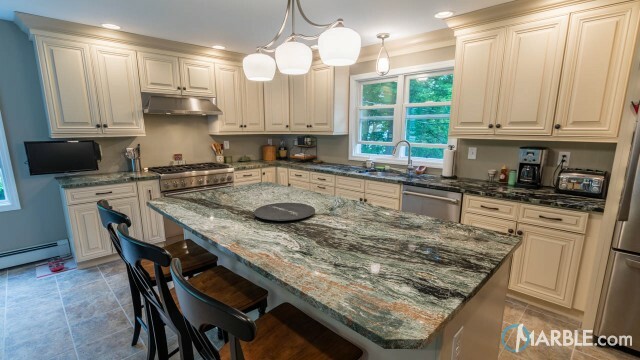 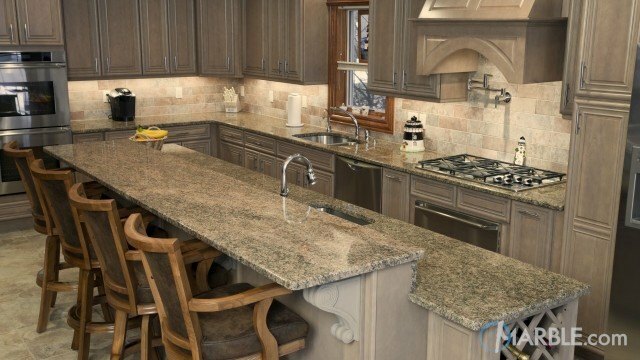 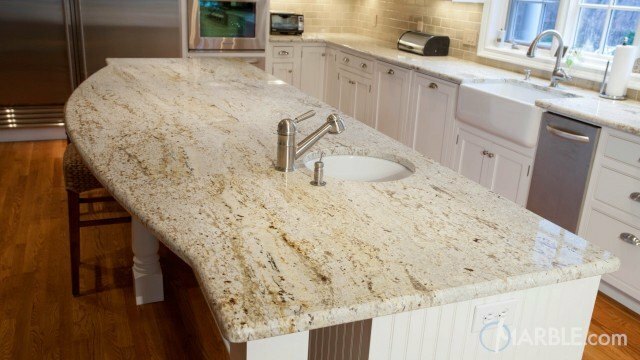 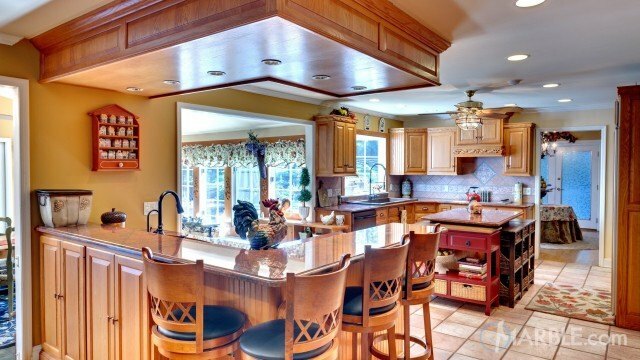 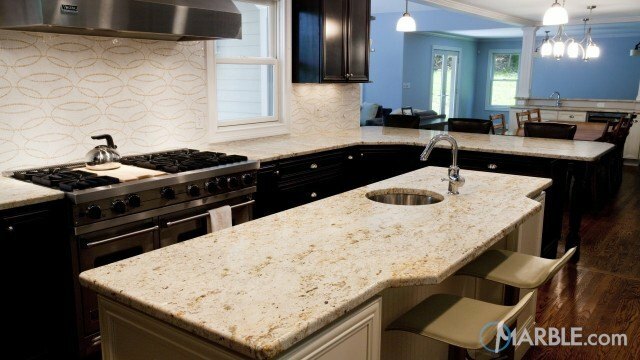 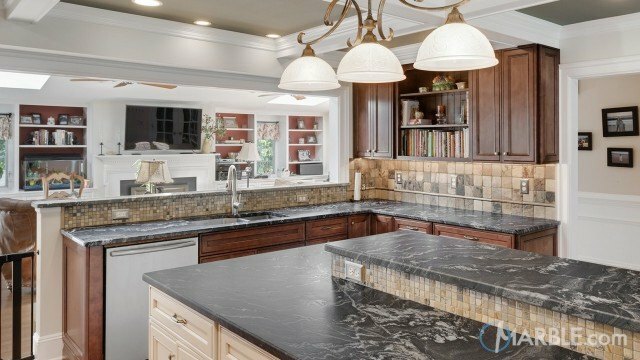 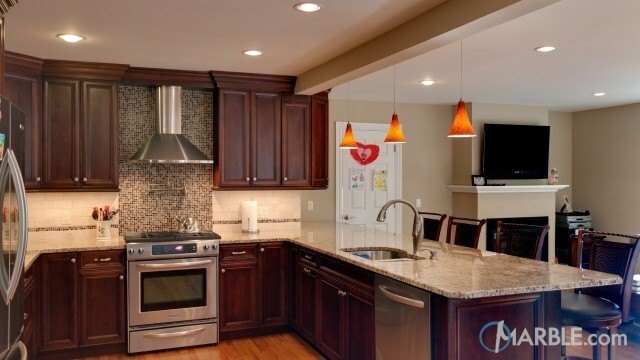 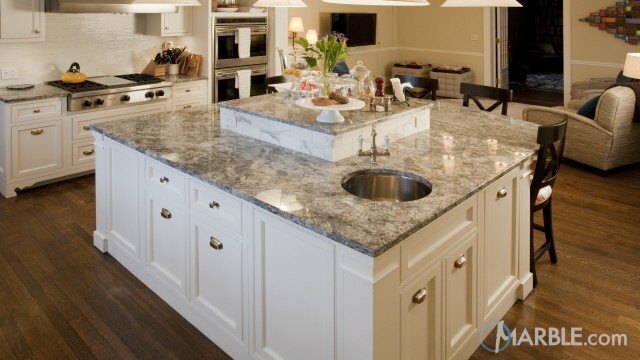 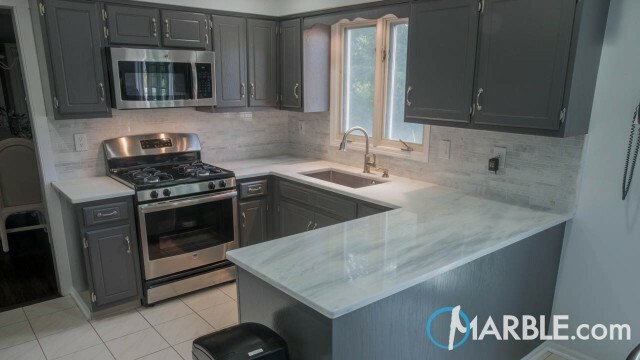 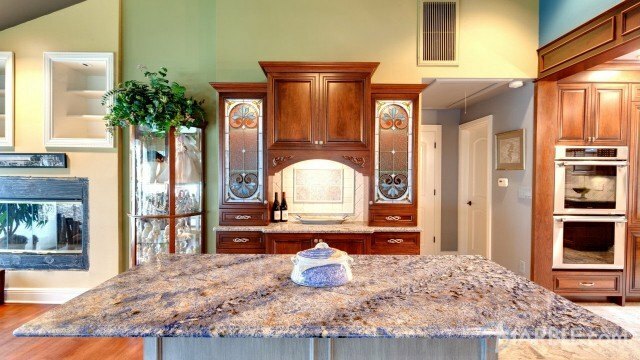 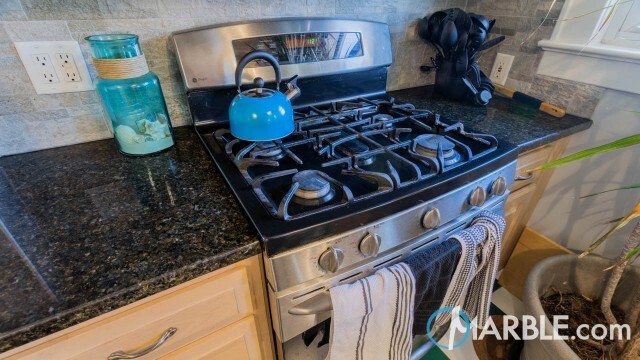 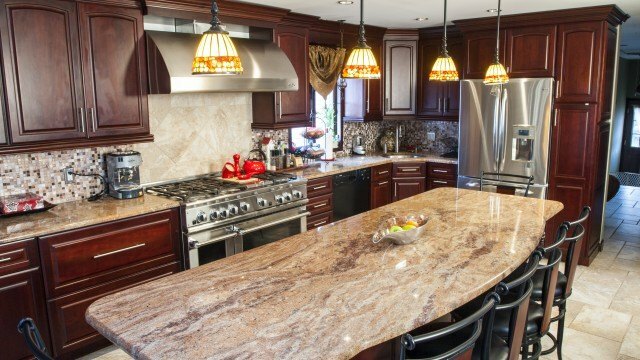 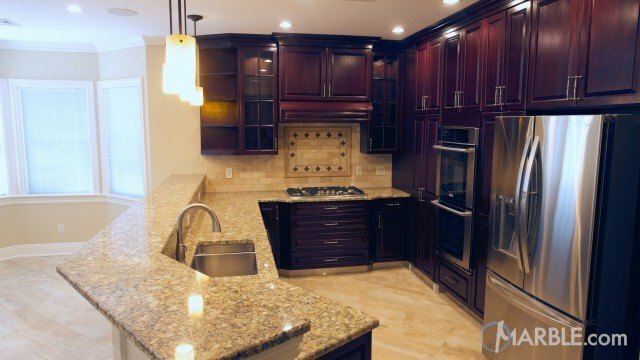 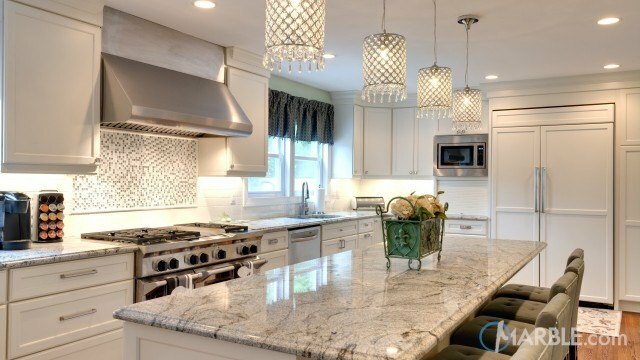 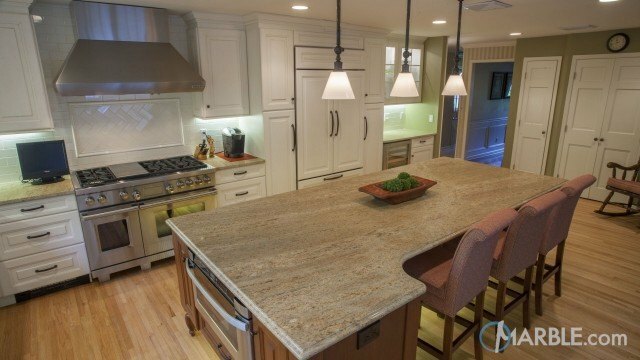 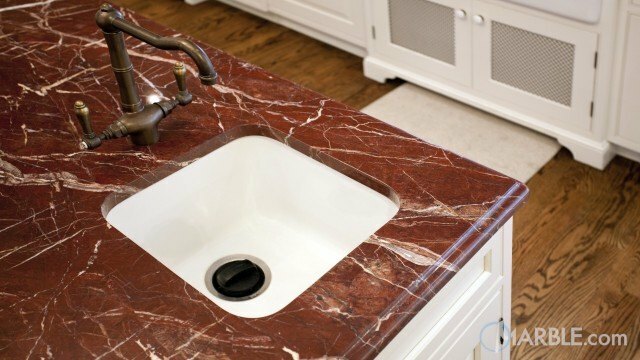 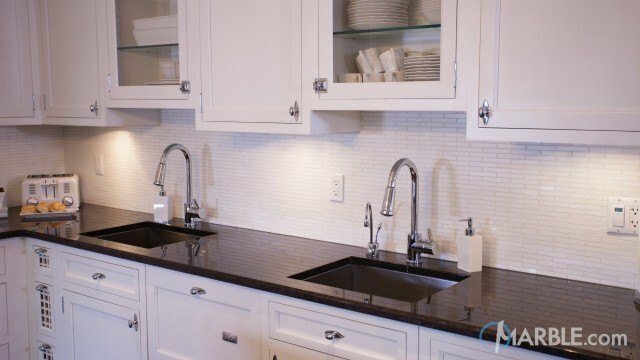 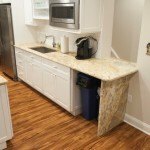 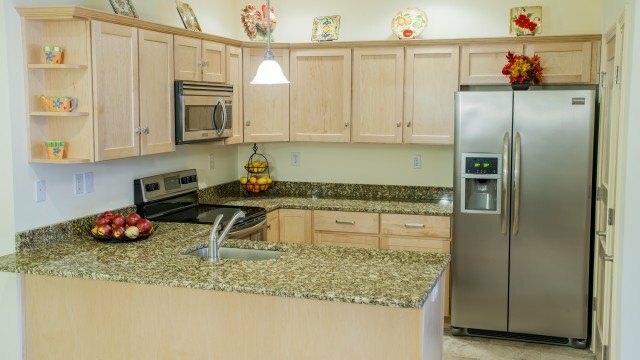 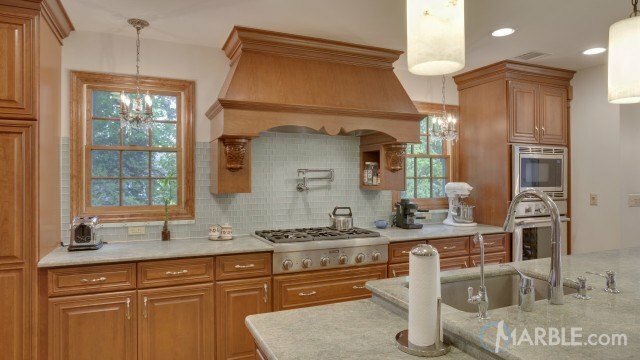 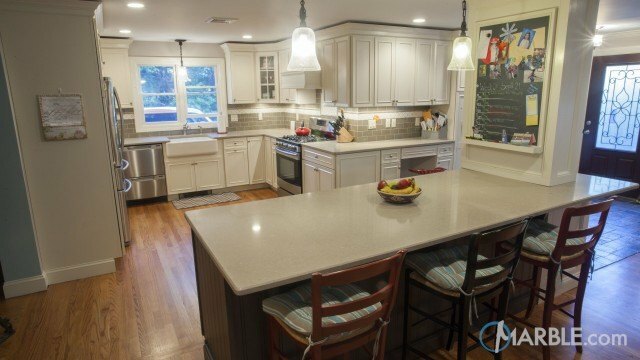 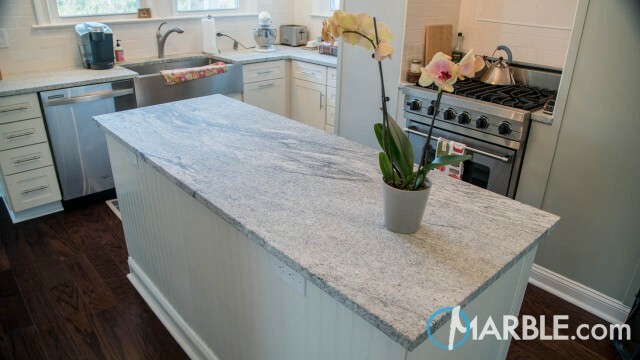 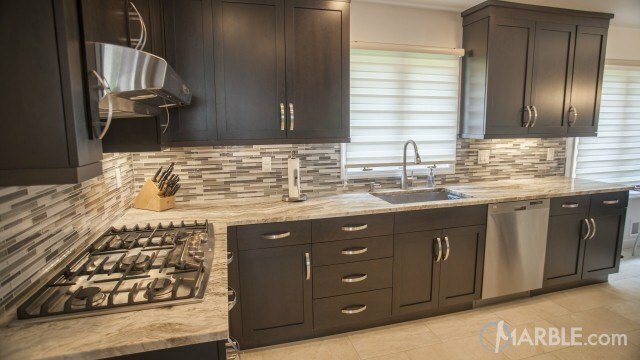 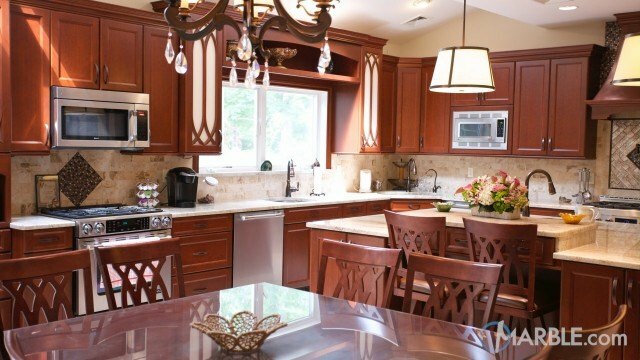 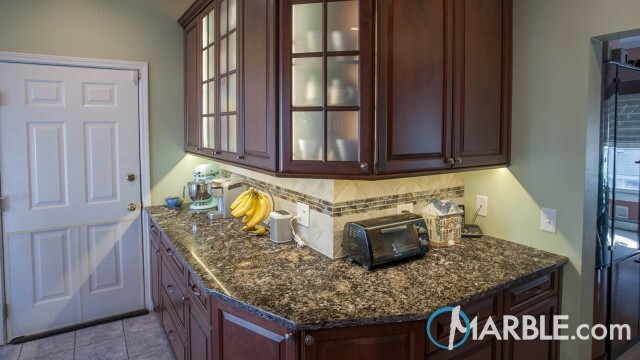 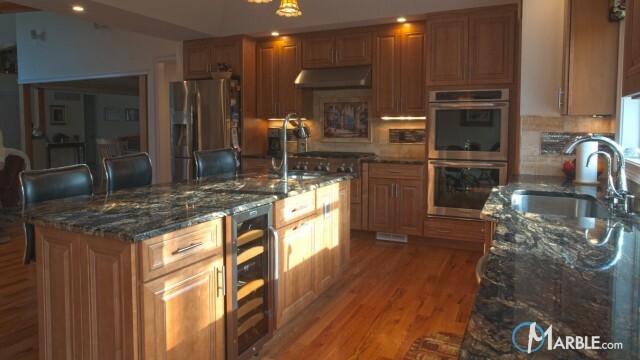 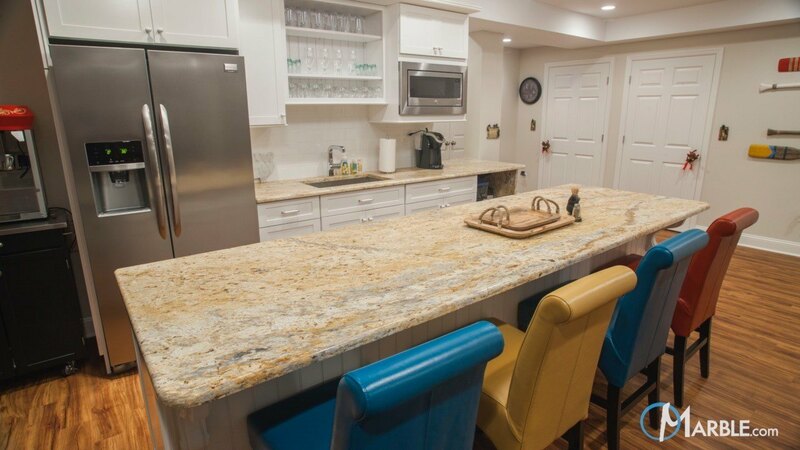 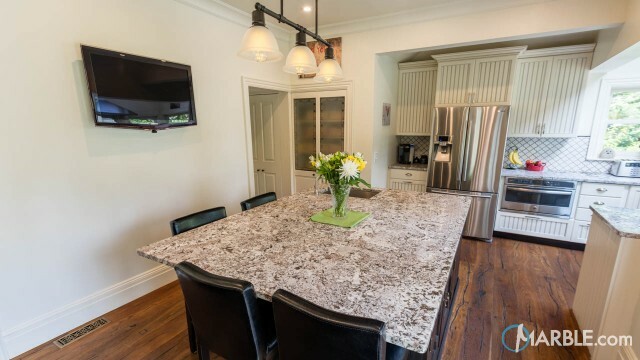 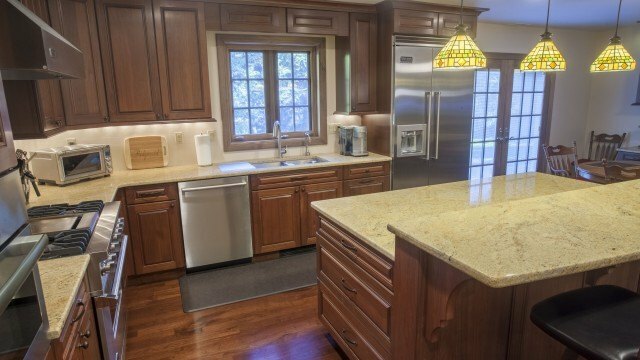 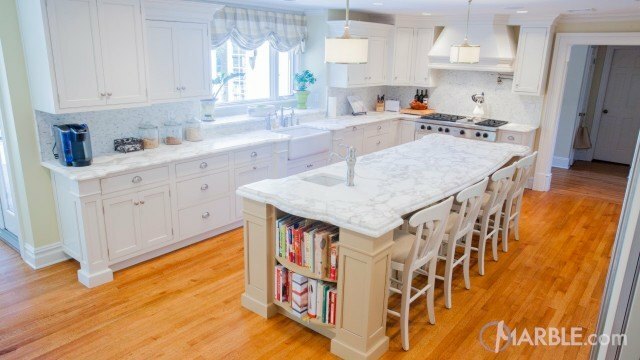 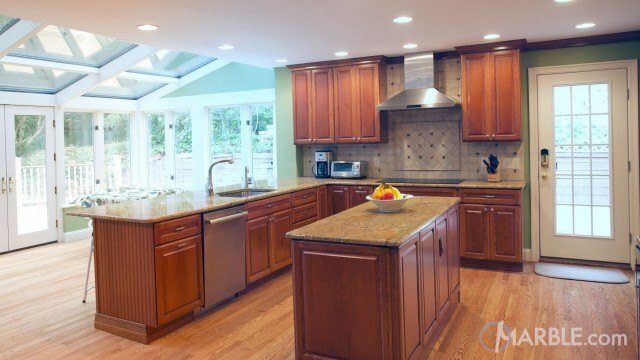 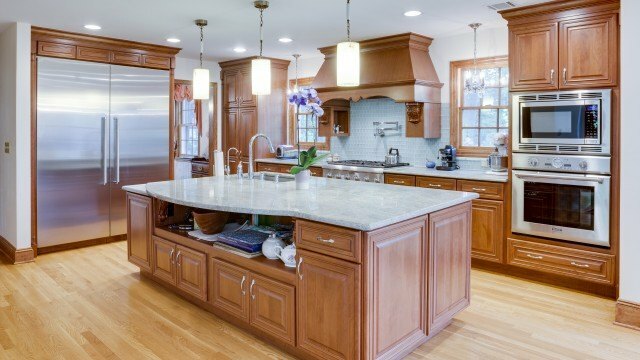 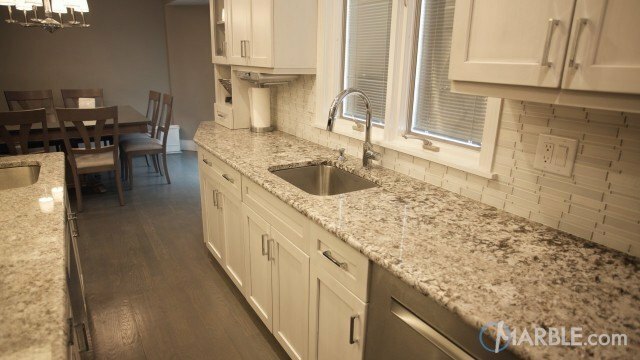 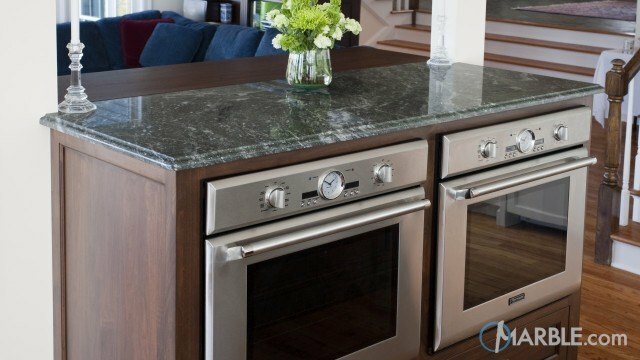 A waterfall edge on the perimeter counter top showcases the granite and isolates the waste basket.